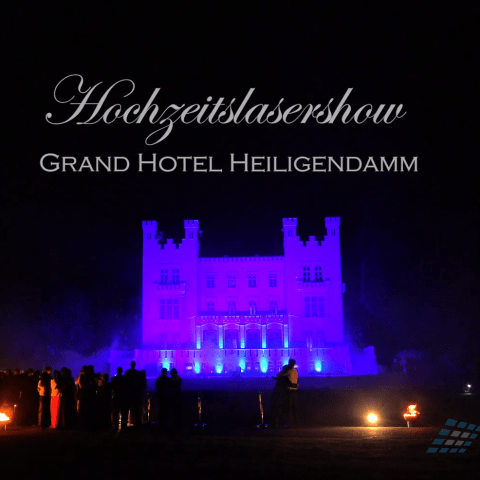 The beautiful Christmas market on the Überseeboulevard at the Hafencity Hamburg inspired also in 2017 ist visitors with the huge natural skating rink, Christmassy goodies and many more highlights. 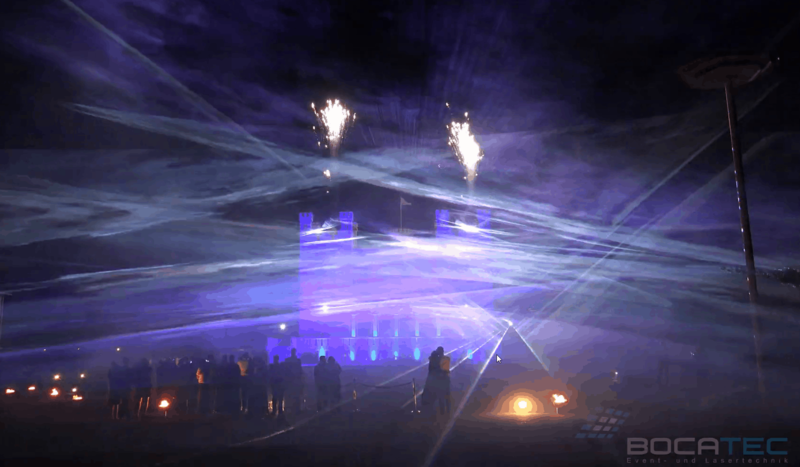 Of course our solemn opening show on the ice with laser, snow and fireworks again had to be part of the program. 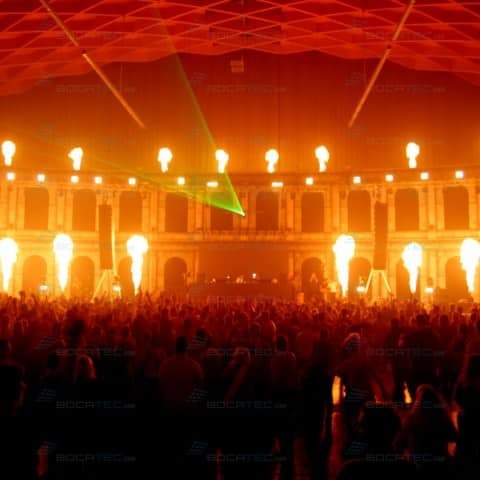 The 30th of November at 6 in the evening finally the time had come – the Christmas market in the Hafencity opened up. 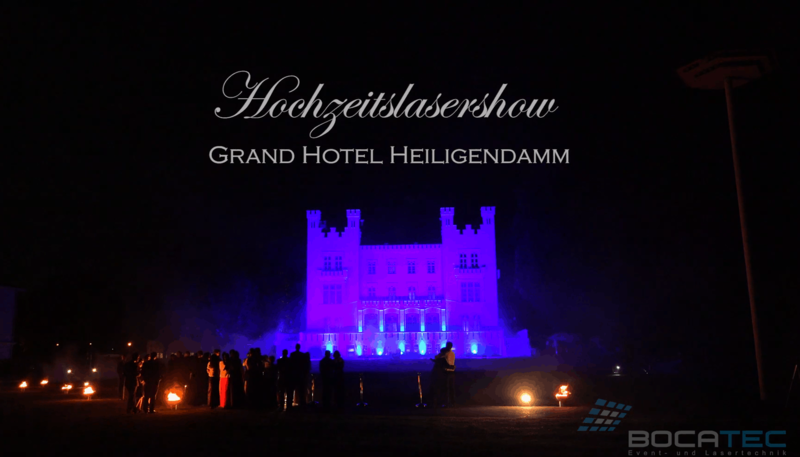 Dr. Claudia Weise from the management of the quarters together with pastor Frank Engelbrecht from the main church St. Katharinen greeted the guests. 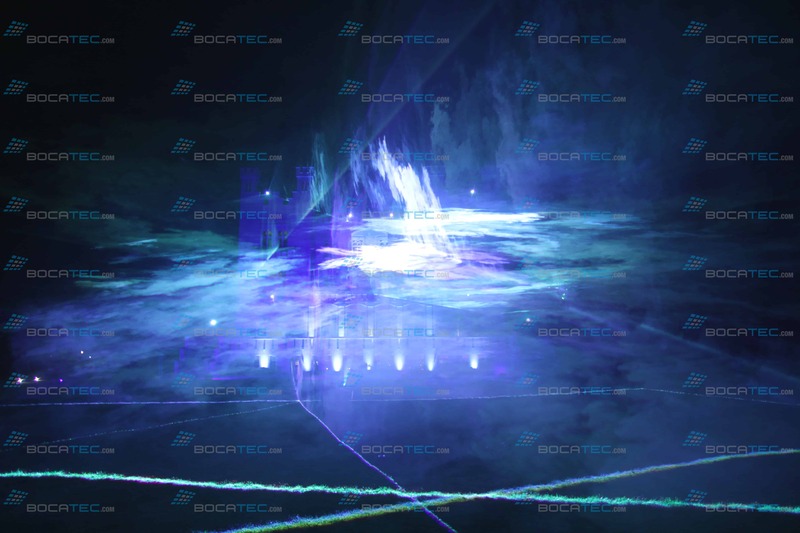 Two white angles welcomed the invited guests and all other citizens of Hamburg, that gathered around the 240 m² frozen surface, with their magical chants. 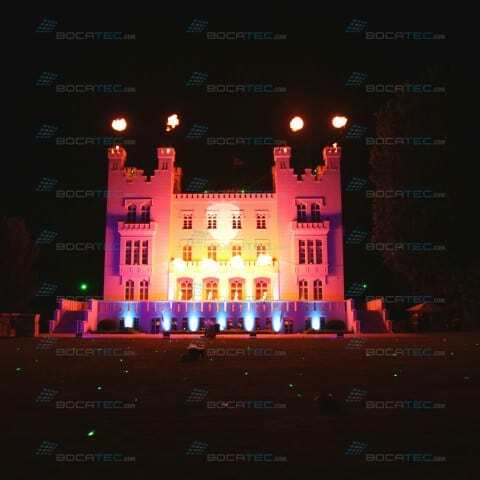 Since 1996 the zoo in Hannover proves that it is a very special location with its unique concept of an adventure zoo without borders. 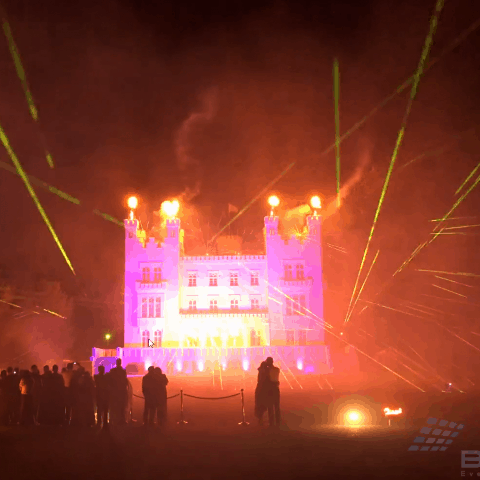 We were part of one of the over 2.000 events, that are celebrated every year in the zoo of Hannover, with a pyro and laser show. 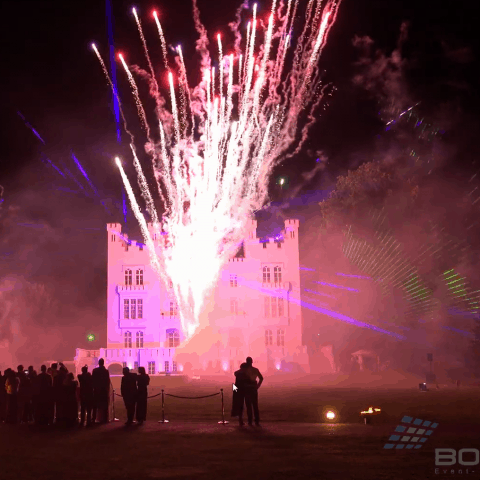 There we gave the suiting finish for an extraordinary company celebration. 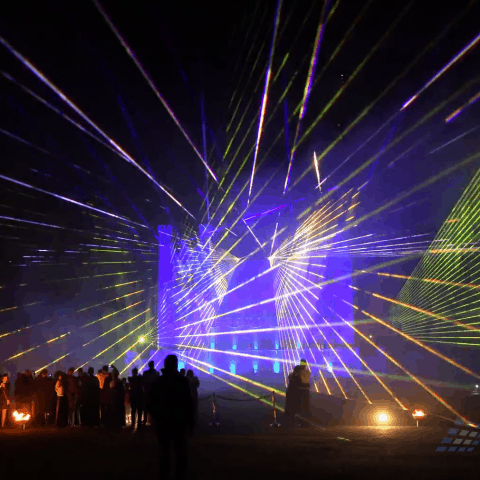 As the first zoo in Germany the zoo Hannover said goodbye to the conventional cage keeping over 20 years ago and now presents its 173 animals species in sumptuously designed topic worlds. 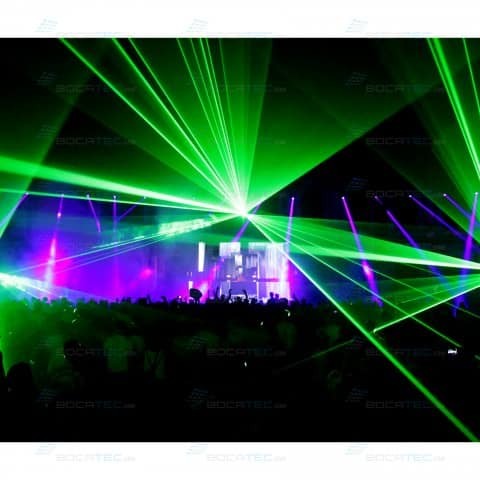 The lines between visitors and animals are blurred in the Indian jungle palace, the African river landscape Sambesi, the children’s world Mullewapp, the Australian outback, the Canadian Yukon Bay, the Lower Saxon Meyers Court and Kibongo, the paradise for great apes. 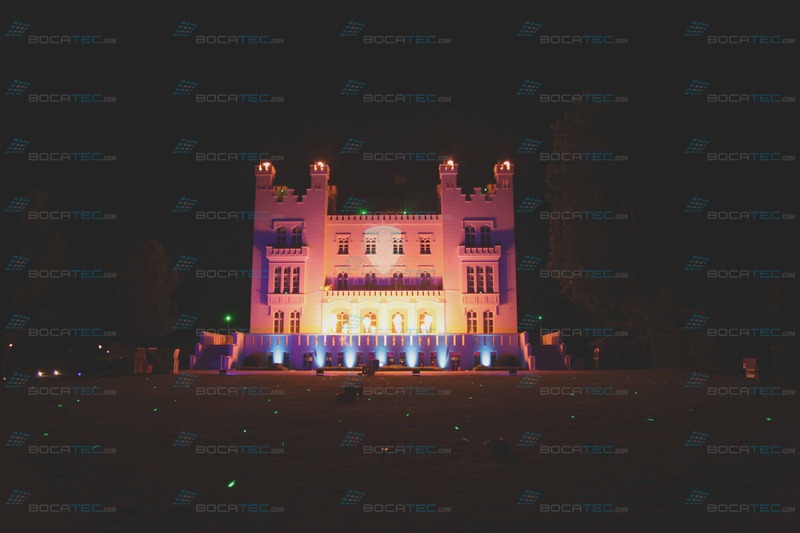 Besides that the zoo is not only an event area for more than 2000 animals and the visitors but also the zoo is open for various other events. 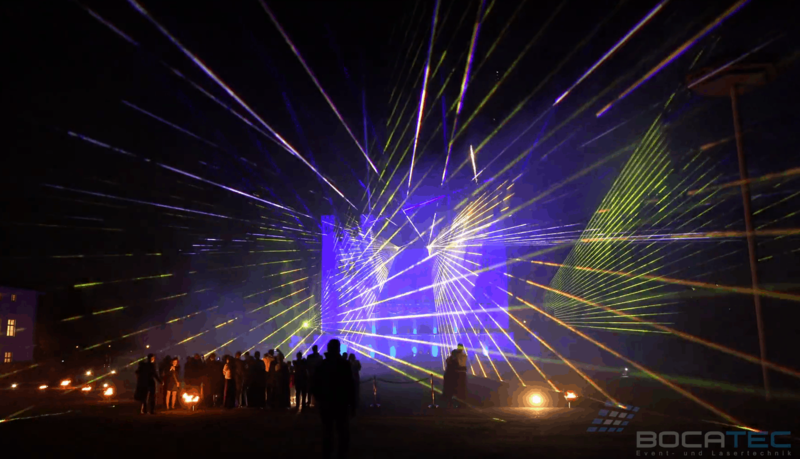 Between Berber lions and cape penguins every occasion finds its suiting ambiance, food and framework program. 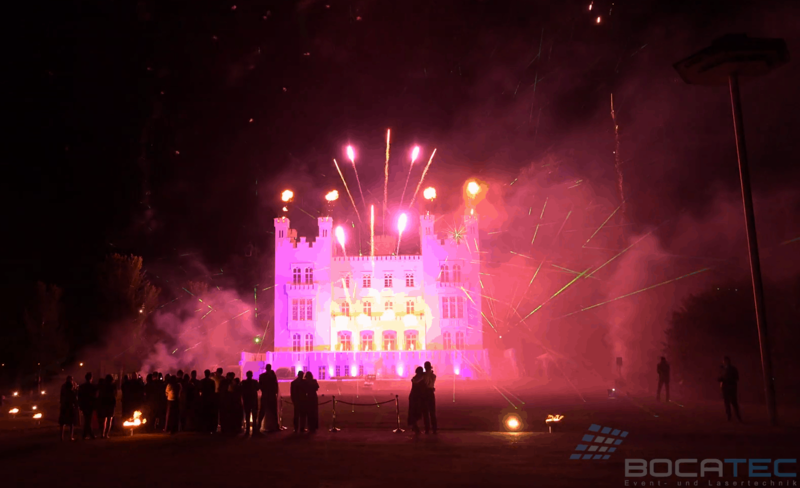 Inside this incomparable location meetings, seminars, workshops, family celebrations, marriages and company parties for sure become unforgettable experiences. 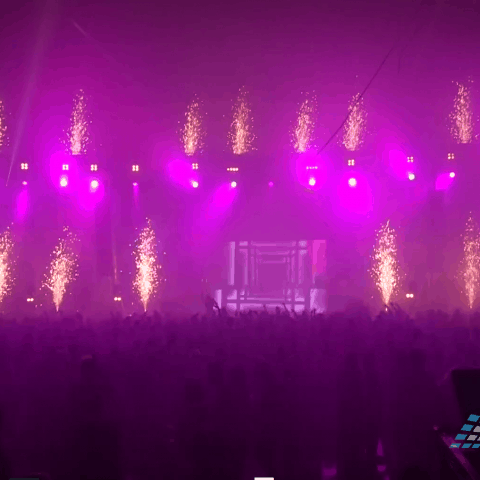 Our customer celebrated his company party at the end of august 2017 for example in the typical Canadian Yukon Market Hall. 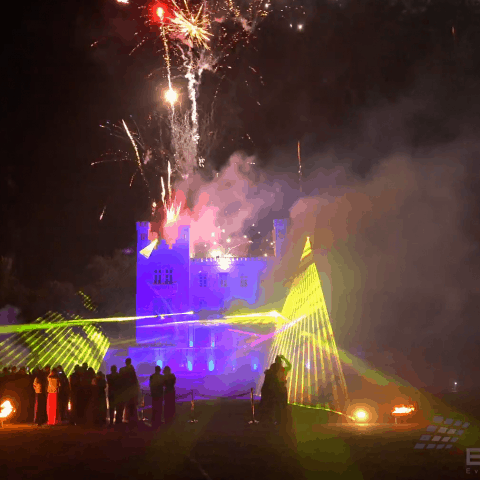 Surrounded by wooden facades, saloons, barbecue and the view on polar bears and seals for 400 guests the wildest wild west dreams came true. 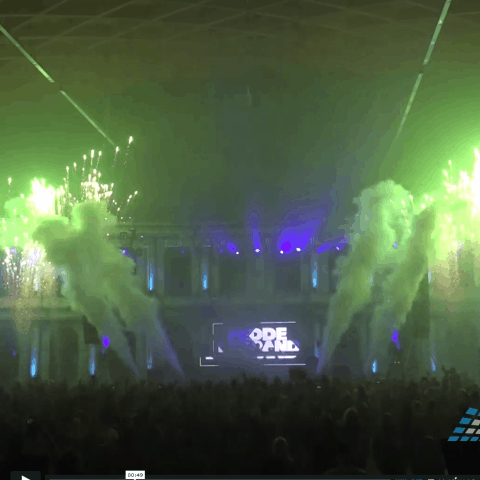 From ice bear feeding, McKenzie seal show, rodeo bull riding, a can-can dancing group or typical music by a country duo one highlight followed the other at company parties of this kind in the zoo Hannover. 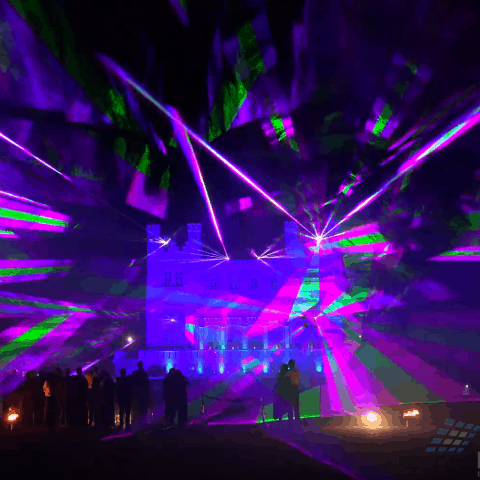 However the polar bears were fast asleep when we shoot our laser show from their compound in direction of the great terrace of the Yukon Market Hall and the Gelateria Luigi Amarone at the Yukon Bay. 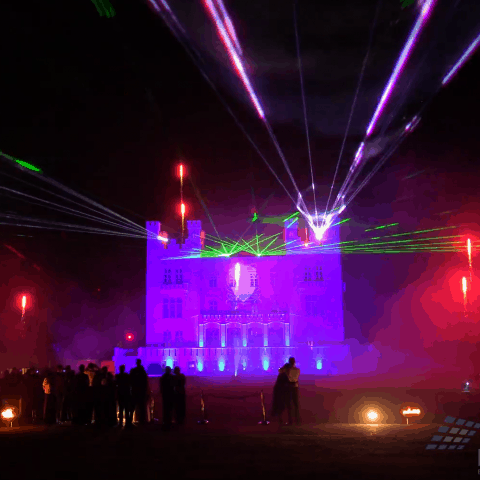 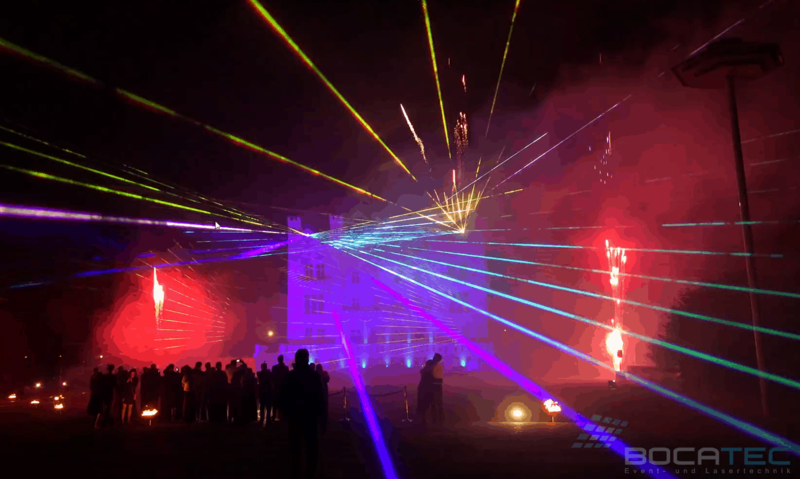 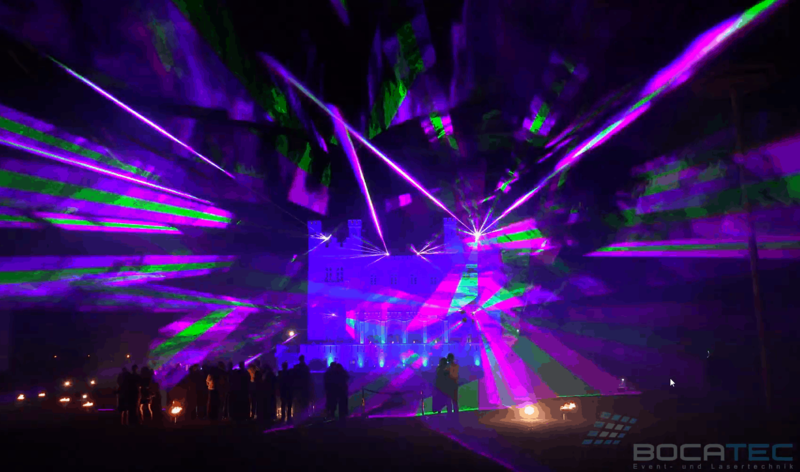 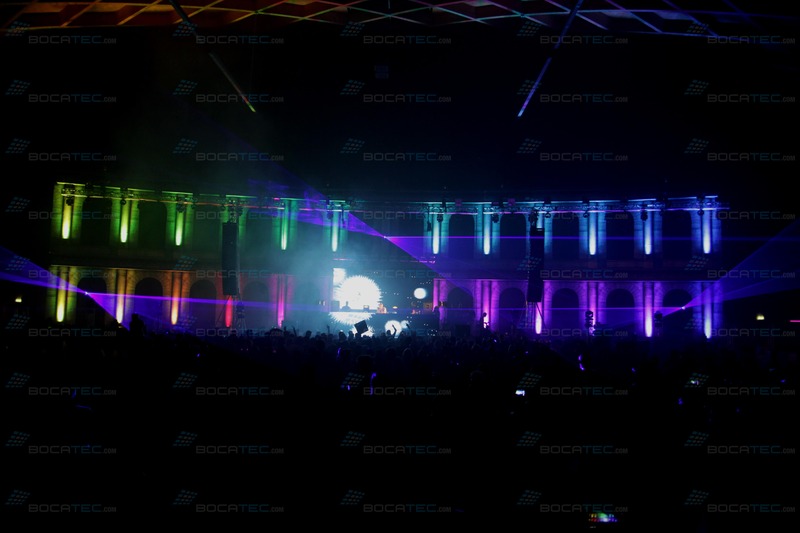 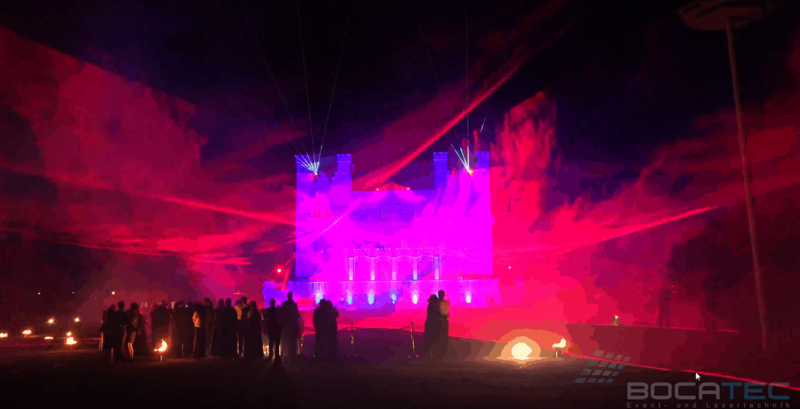 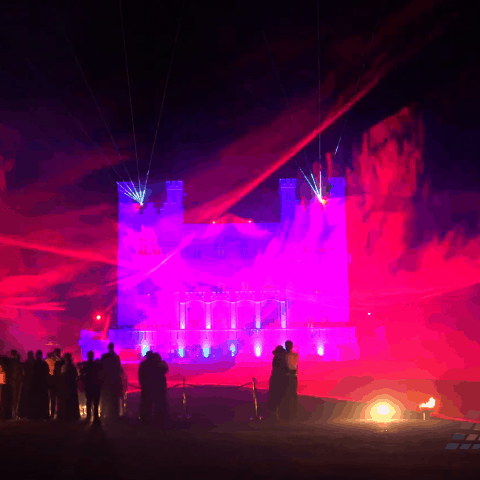 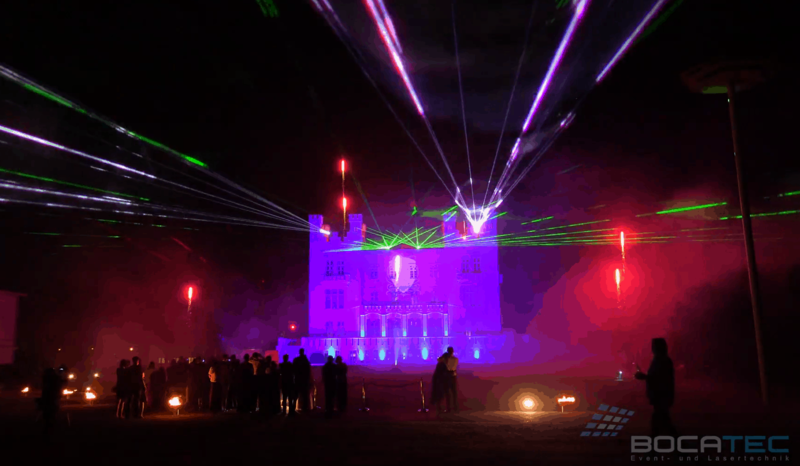 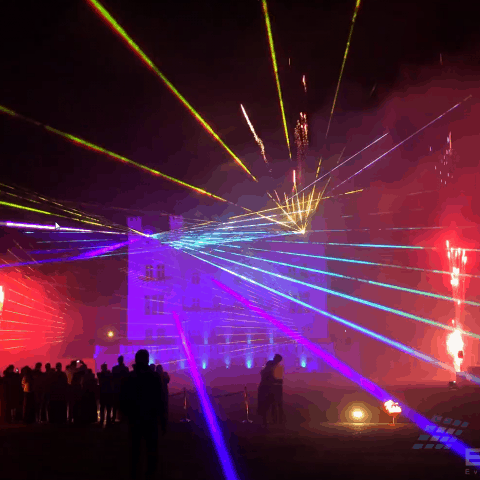 Four RTI Piko 14 RGB laser projectors and a pyro launching platform with flamy effects were also build up and cared for a fantastic atmosphere and the final highlight of the evening. 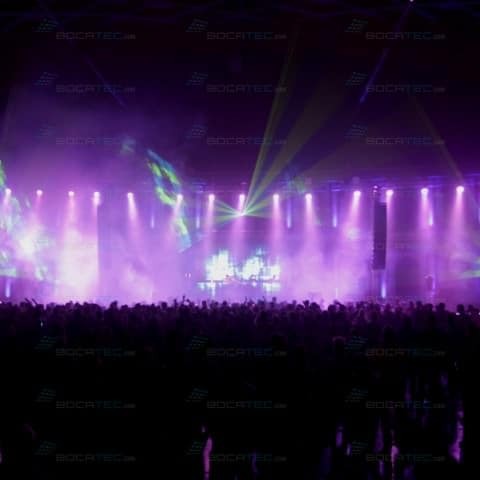 In October 2017 more than 1000 top-class customers and retailers gathered in the City Cube Berlin. 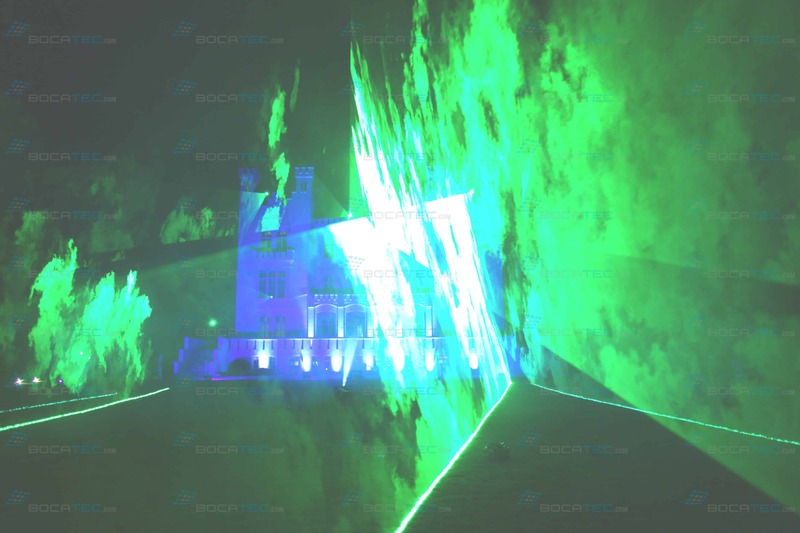 One of the leading producers of office technology invited his international high-potentials to the “European Leadership Campus” that was expected with curiosity. 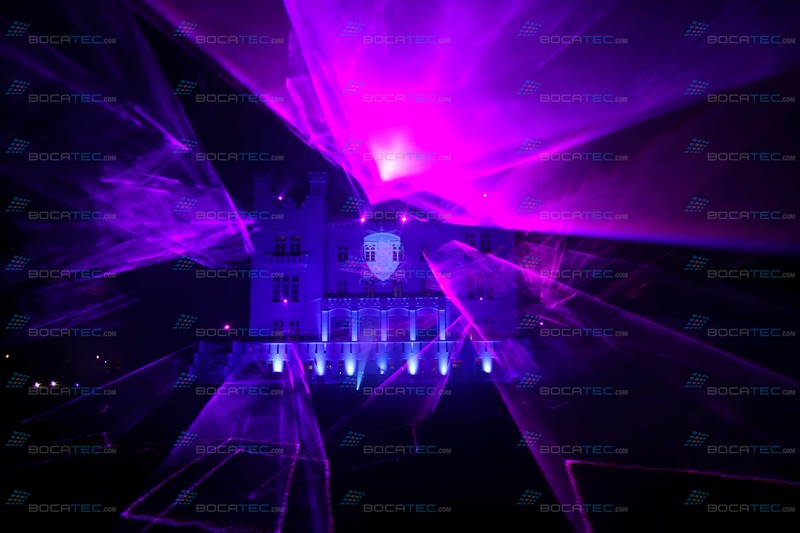 The impressive program with speeches, future workshops and the high-tech trade show came along with a fulminant show in the evening. 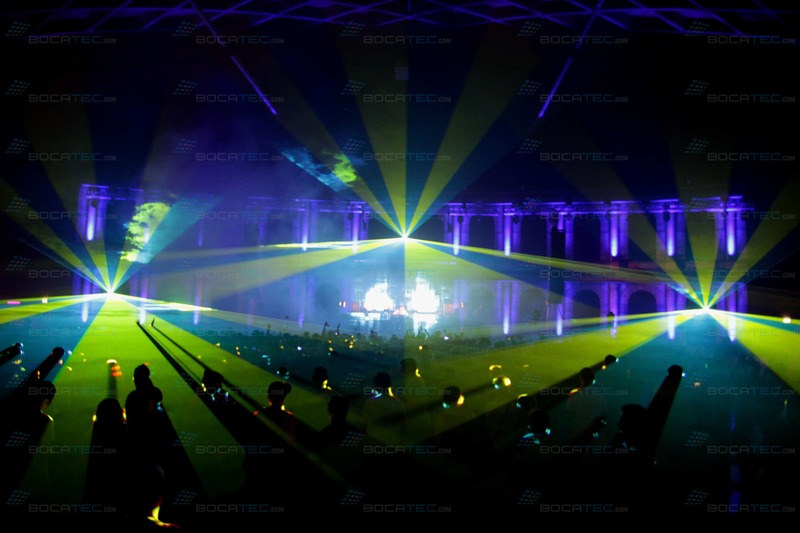 Bocatec here realized the suiting elements around projection and light technics. 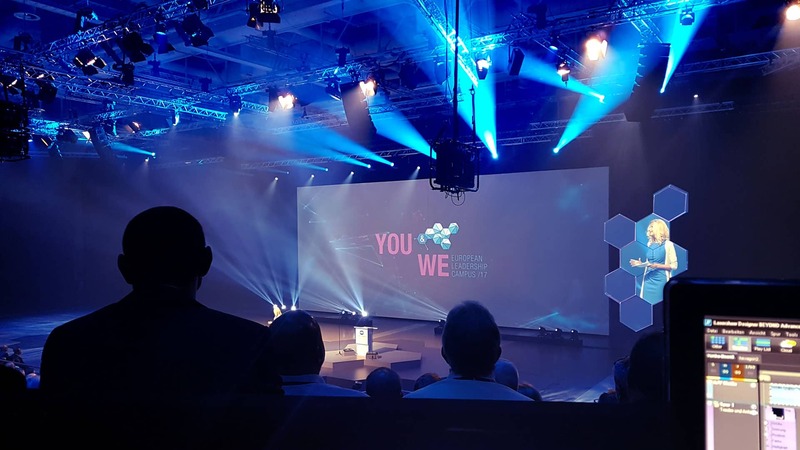 After so many new impressions during the conference day with the latest trends and future insights that was by far not all of it for the 1000 participants. 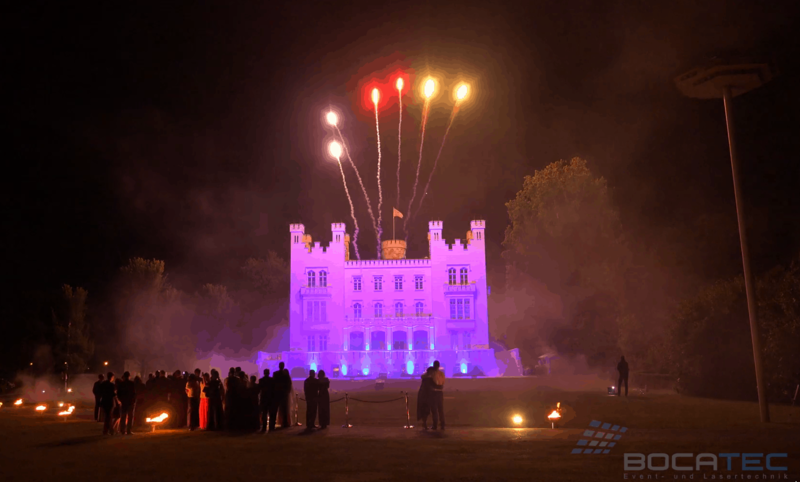 Also the evening program offered further mind-blowing experiences for the invited guests. 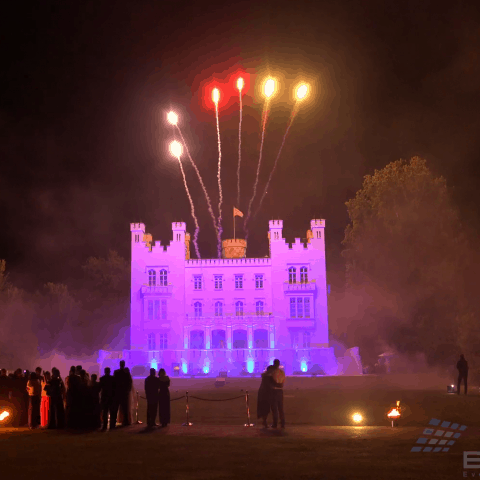 The gala dinner with inspiring cuisine took place inside a „Belin Setting“. 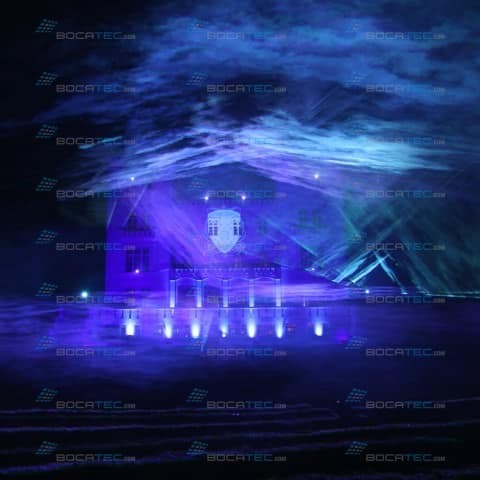 Bocatec with four RTI Piko 14 cared for huge, highly modern graphic projections, that were shown on walls hat suddenly disappeared and gave view on the new products. 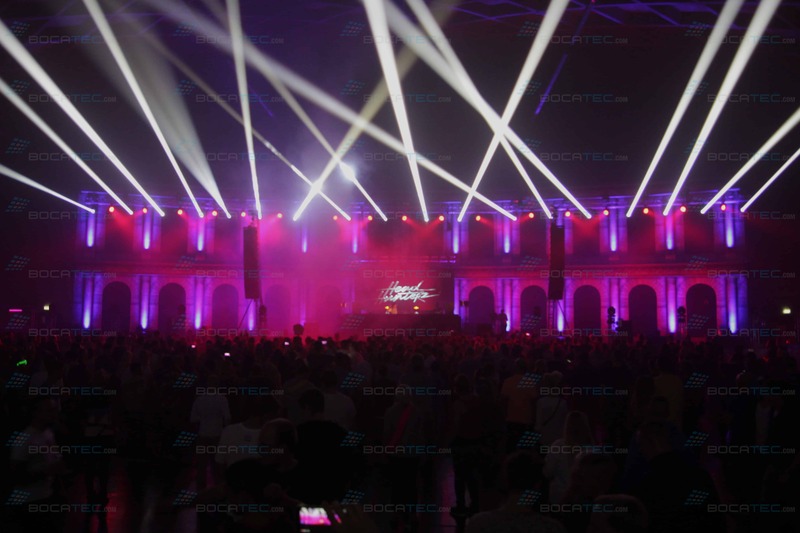 Together with cool Hip Hop dancers, a sparkling, human mirror ball and the hot-blooded music band the event technics specialist from Hamburg delivered also an exhilarating Beam Show with 2x 23 Watt RGB. 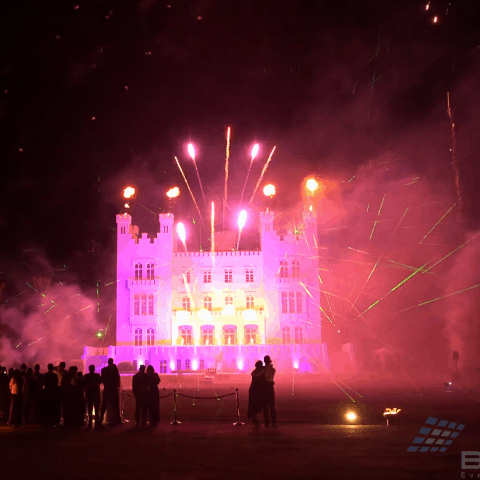 Like this even more magical moments arose for an unforgettable day and successful business partnerships. 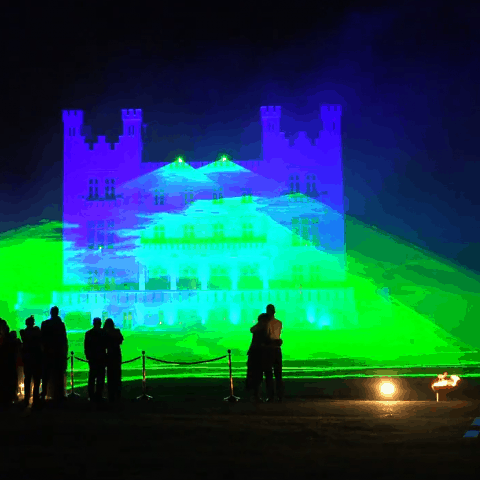 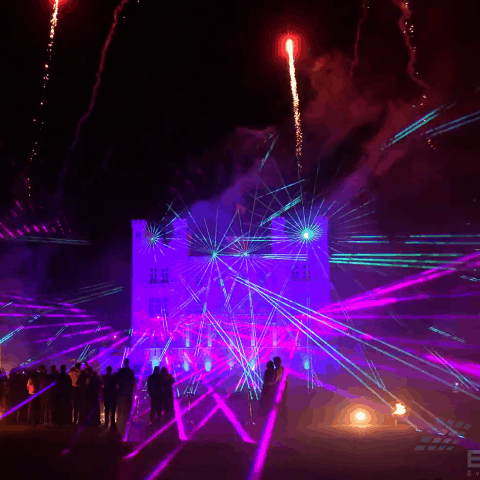 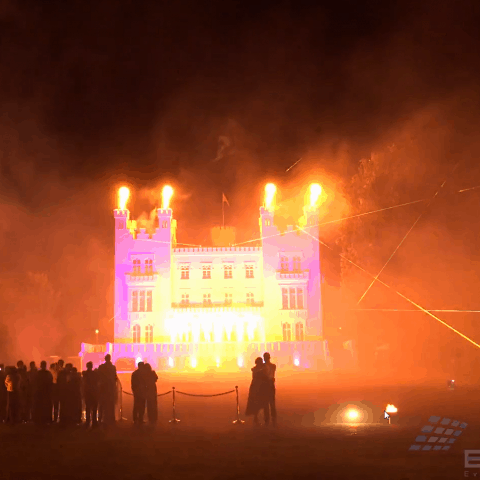 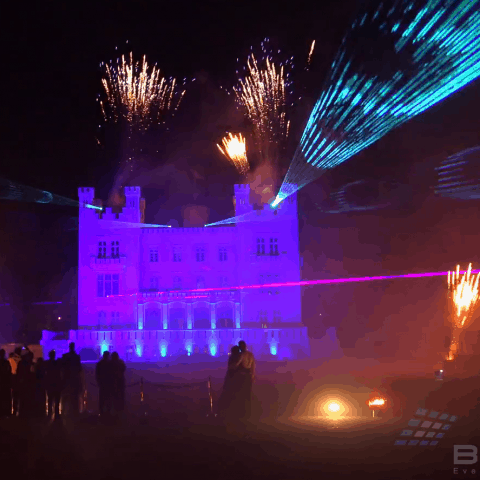 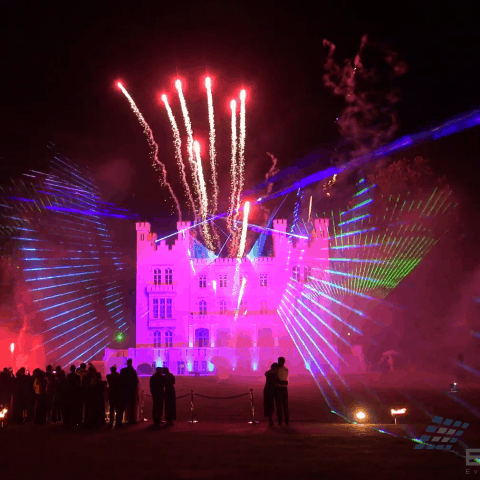 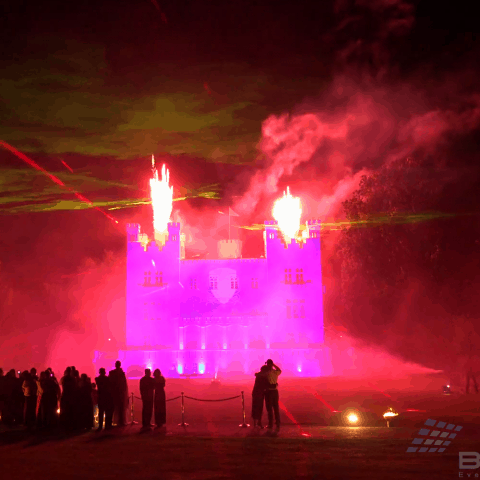 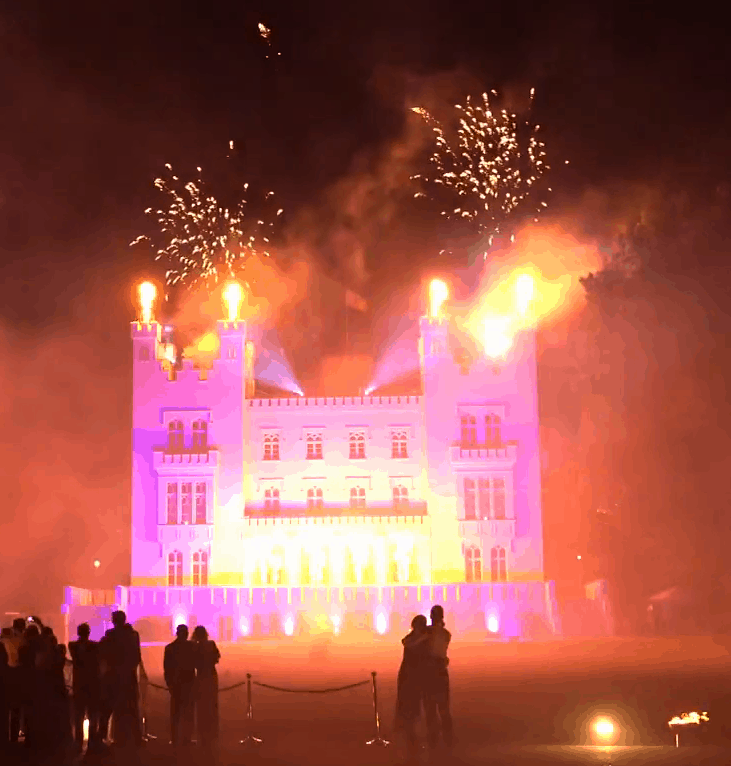 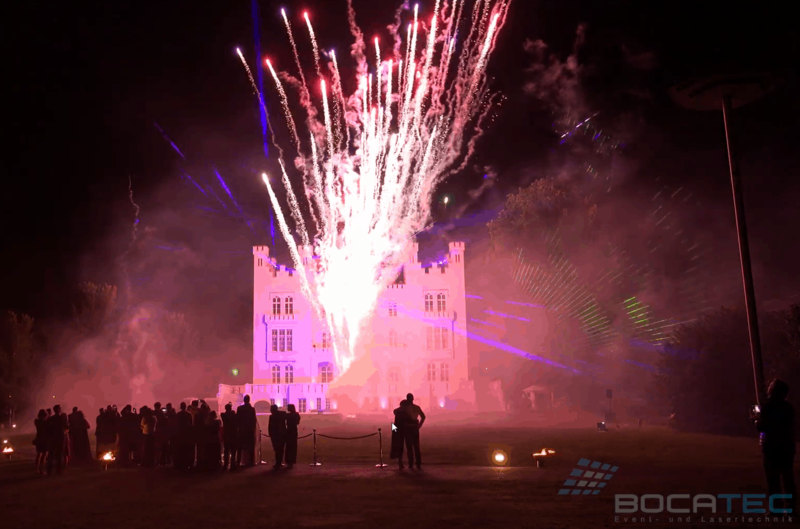 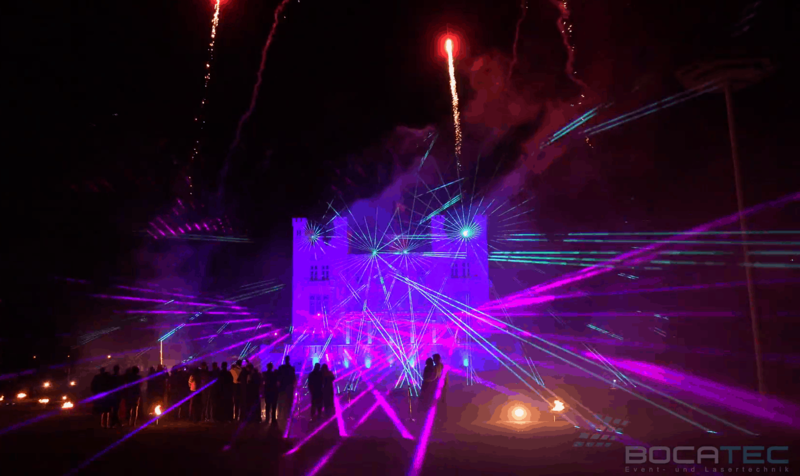 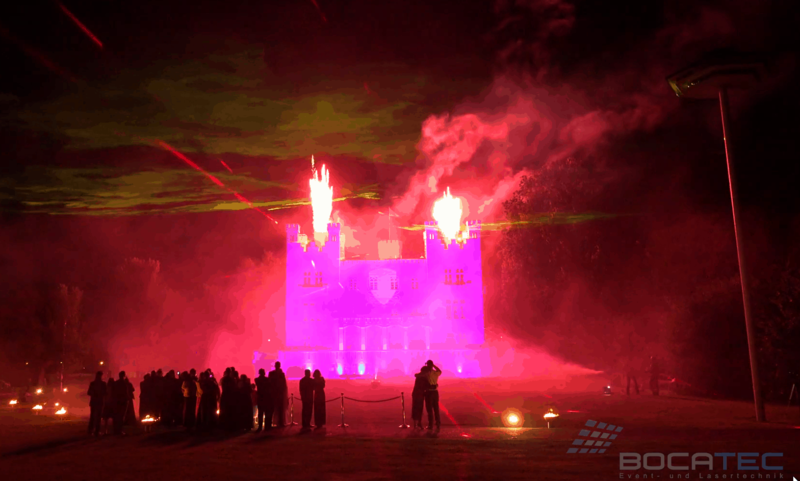 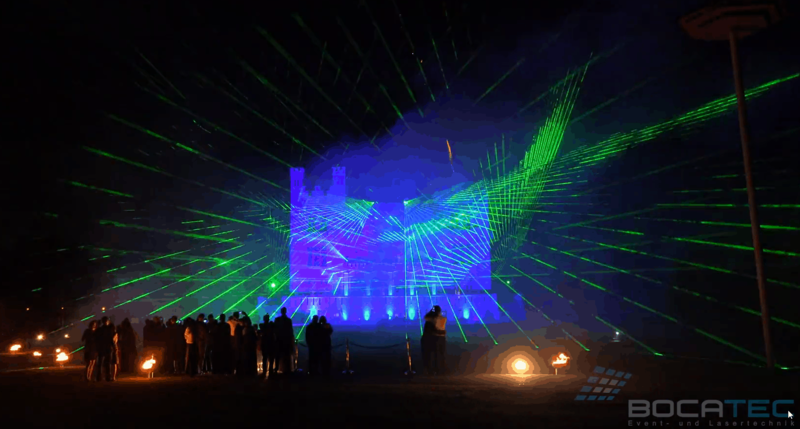 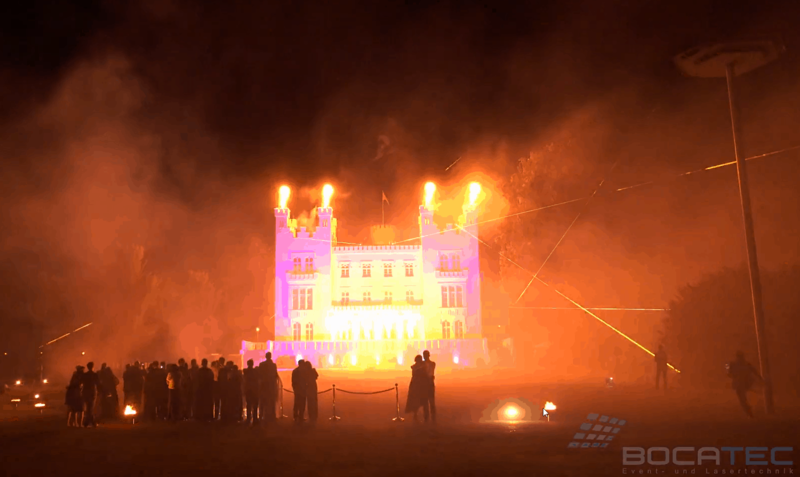 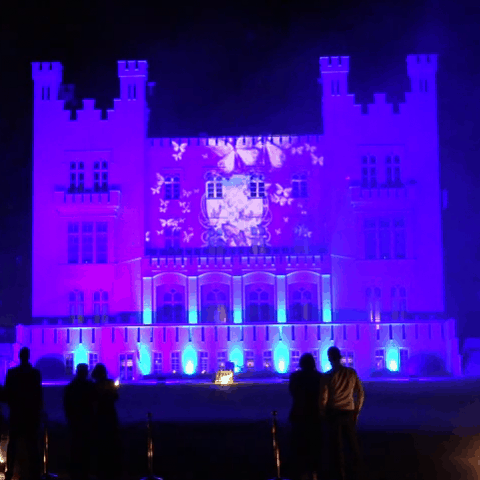 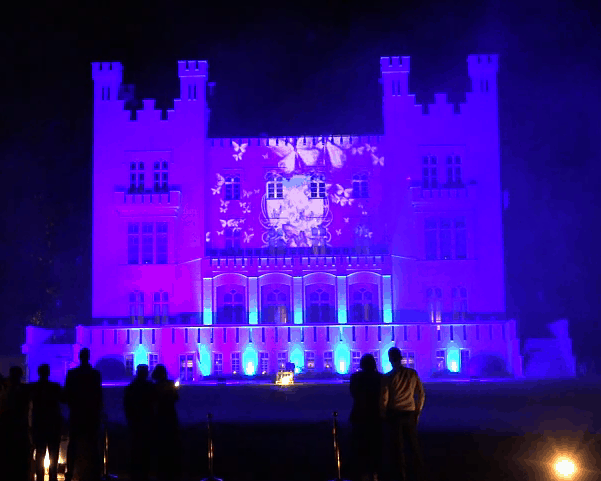 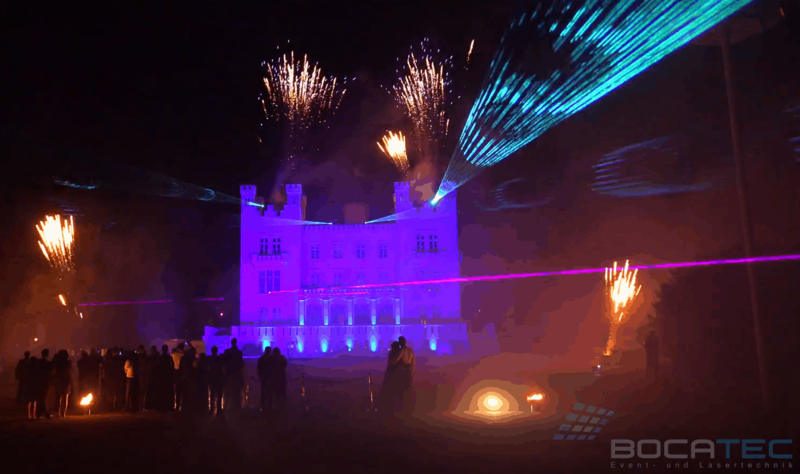 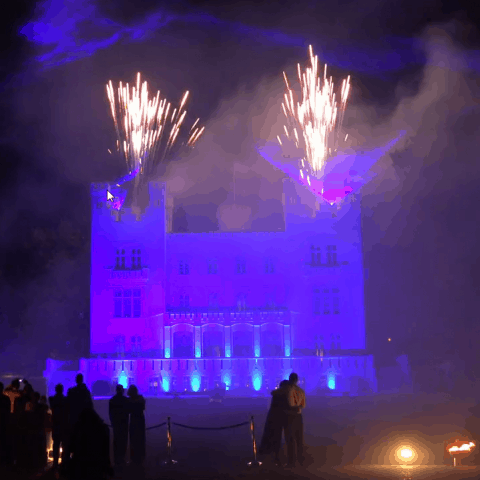 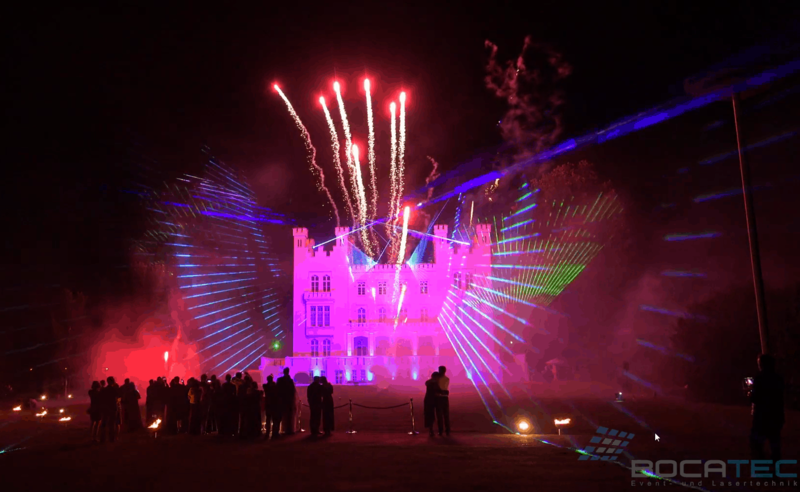 The guests of a bank in Dresden were really amazed when the exclusive company celebration was highlighted by a fulminant laser show with fire effects in front of a giant water wall on the later evening. 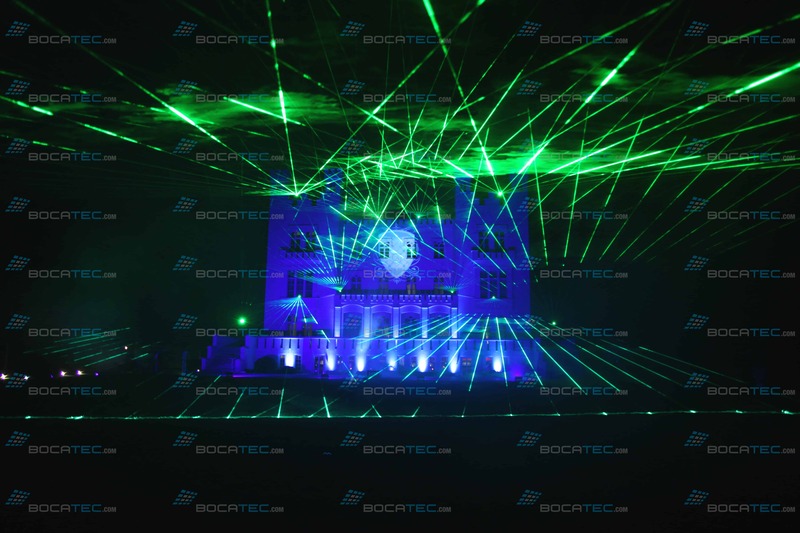 Bocatec realized the impressive show with their high-tech show technic that leaves nothing to be desired. 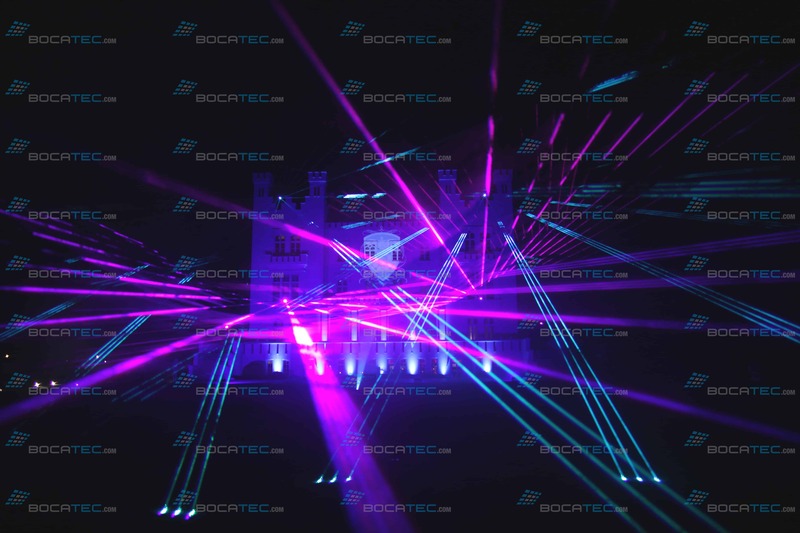 A water shield on its own alone is already an eye catcher, but painted with beamer graphics and laser beams the fluid screen becomes the highlight of every event. 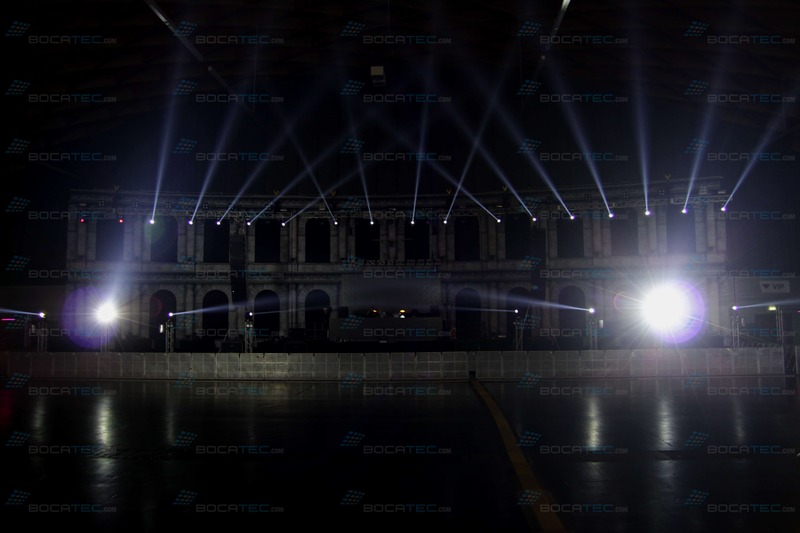 Several hundred square meters space for logo projection, laser graphics or beamer presentations, where normally there is just air. 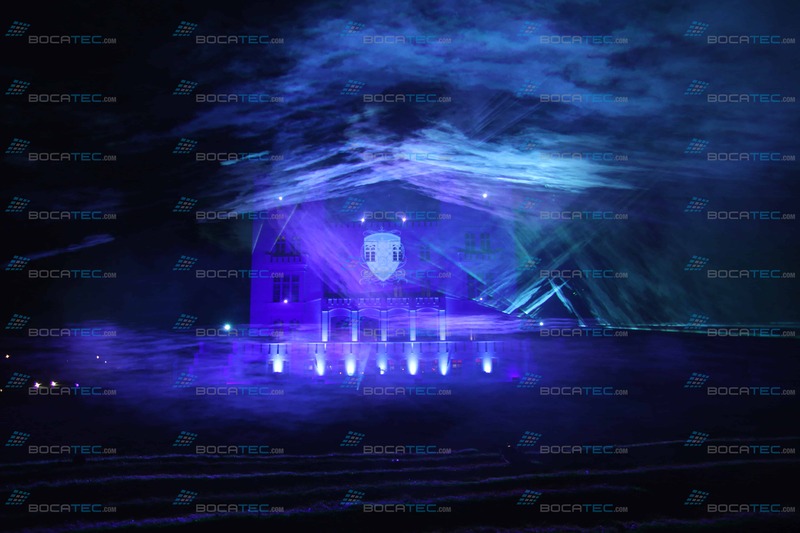 The water wall builds up from nothing in front of the spectators and offers the ultimate show platform. 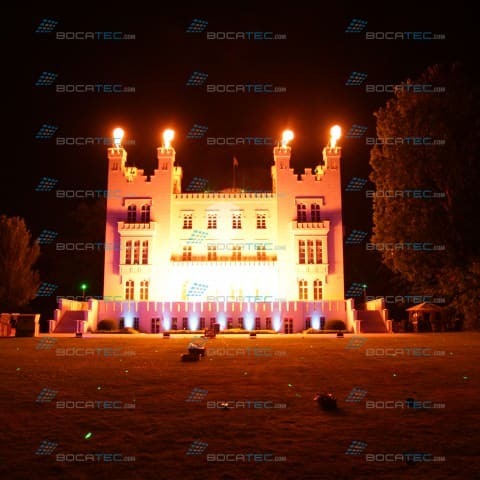 Bocatec also cared for fire show effects with 14 GX-2 flamers and four of its new GX-3 Power flamers. 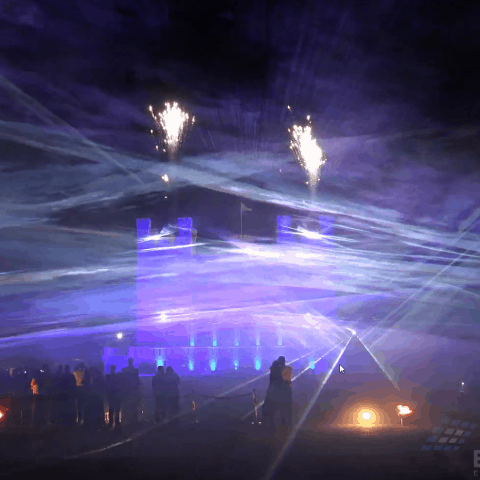 Seven laser projectors threw beams, figures and shapes through the dust onto the water wall. 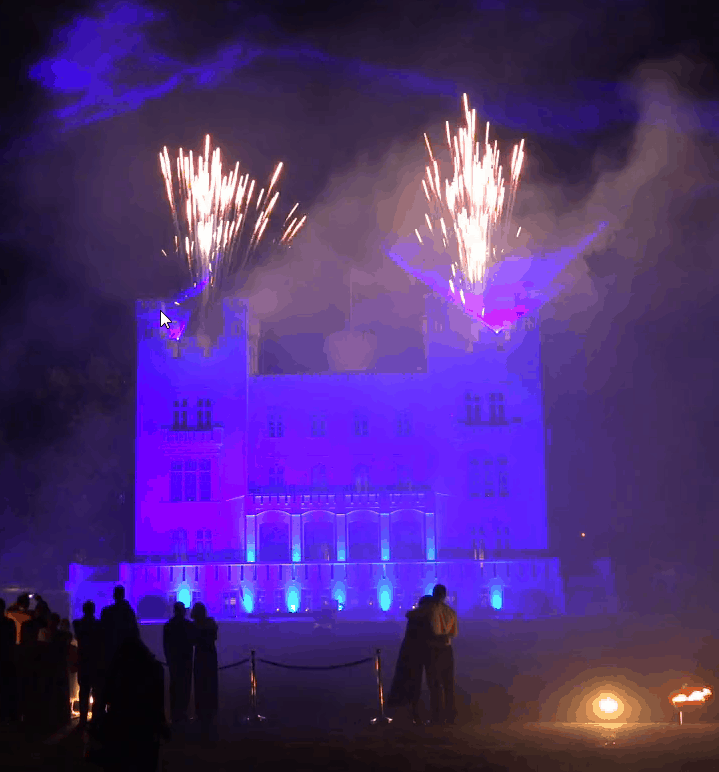 Fireworks made the popping final of the special evening. 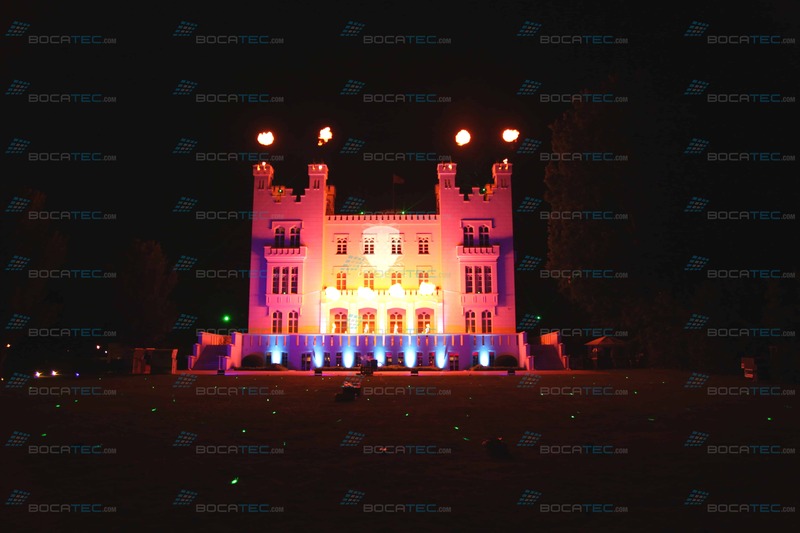 The 2.500 employees of the Mercedes-Benz plant in Bostelbek celebrated in june 2017 with good cause. 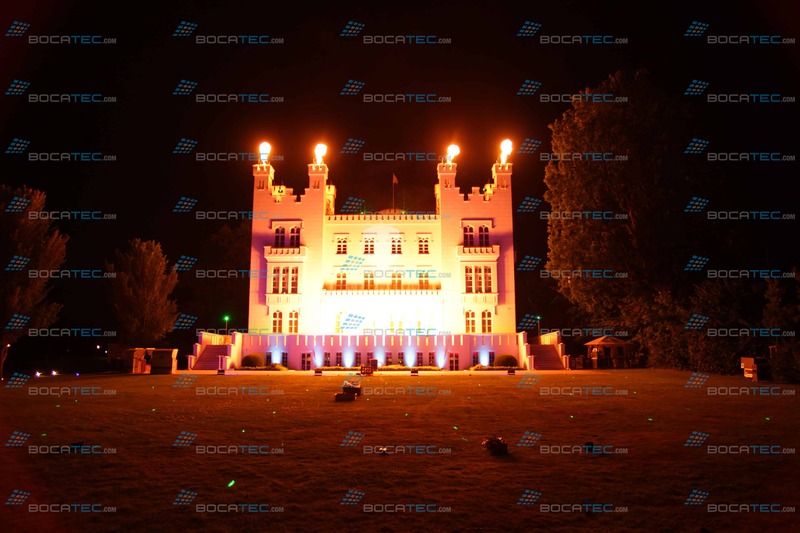 The whole staff of the plat 68 and their families were invited to the big summer party. 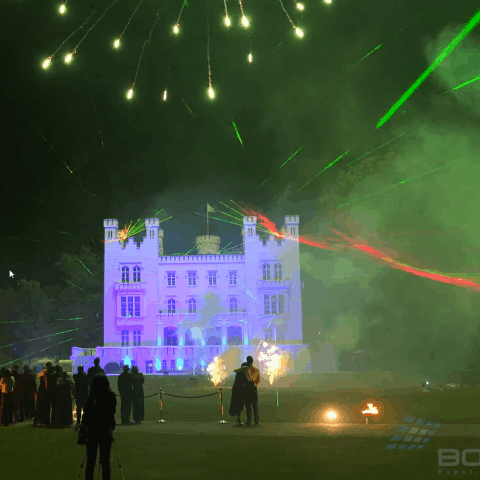 The crowning finish of the varied daily program was the genius laser and pyro show of the event specialist Bocatec from Hamburg. 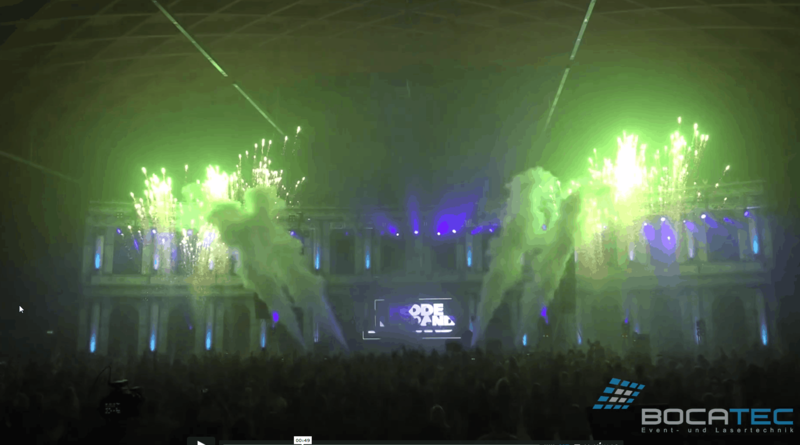 The fireworks of colored, twitching laser beams and exploding fire fountains bursted out from the main stage over the amazed work force of the Harburg plant. 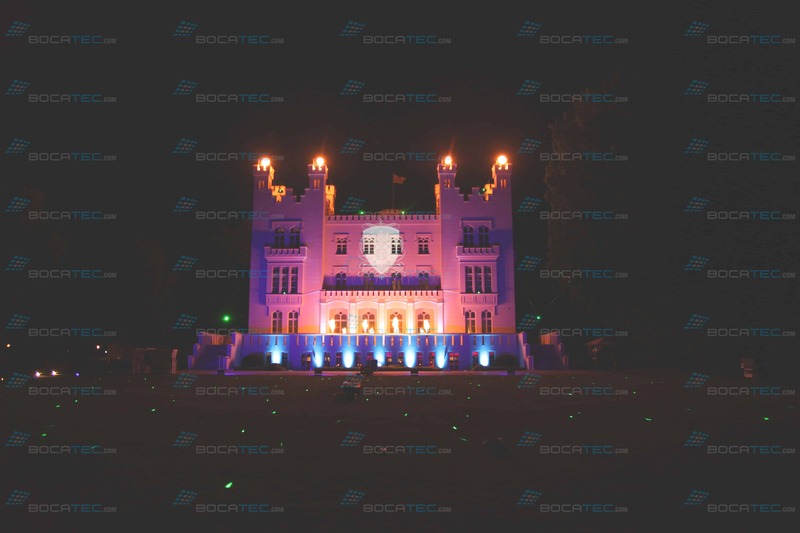 Celebrated was the motto „Plant 68 – we build future“, because the plant in Bostelbek will play an important role in the entry of Mercedes into electromobility. 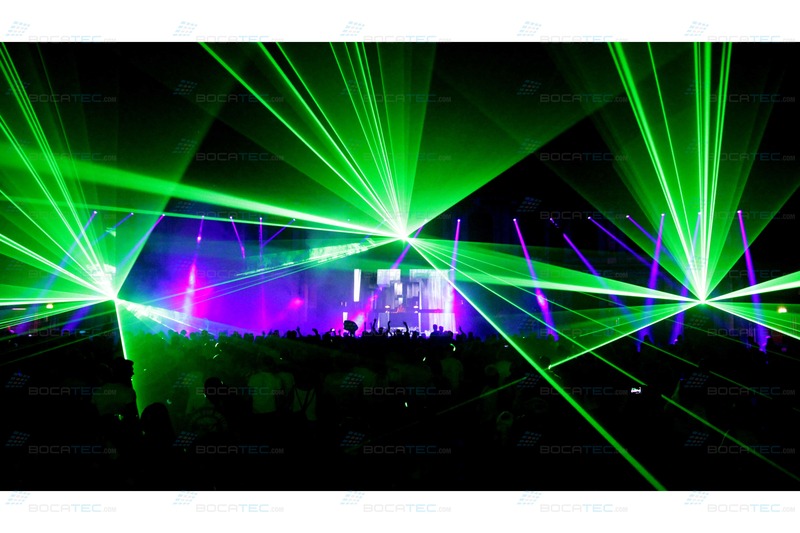 Mainly electric rear axles and drive modules should be fabricated there. 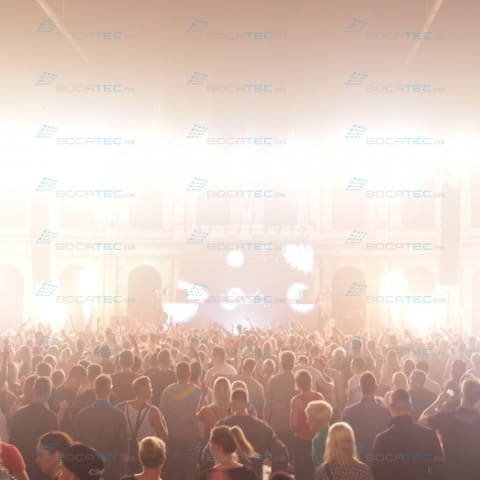 The giant summer party with live acts as the “Sportfreunde Stiller“ & „Max und Friends“ will for sure be treasured by the employees for a long time and give motivation and courage for the changes. 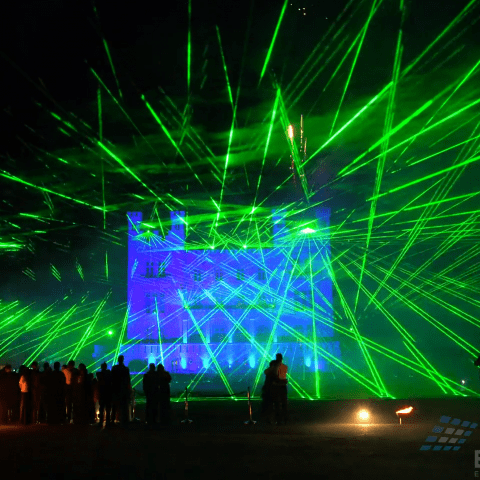 John Ment, the cult moderator of Radio Hamburg, heated on the crowd and counted down to the final laser show. 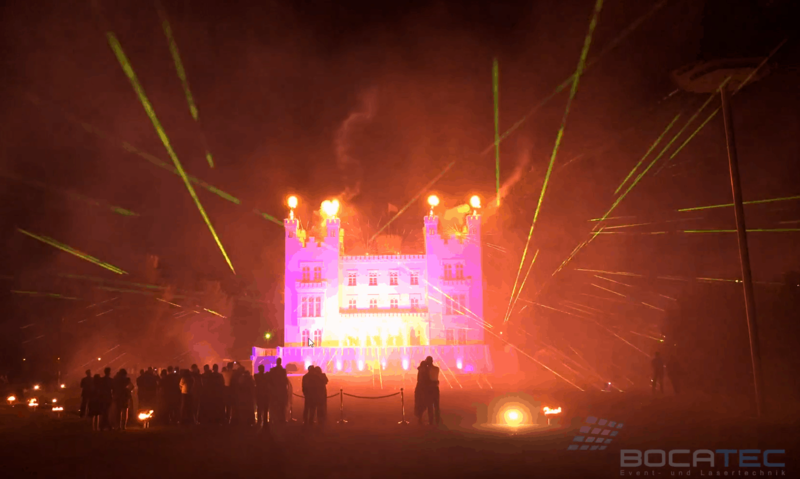 Accompanied to bombastic music the 6 minute laser and pyro show started with sparkling fire elements. 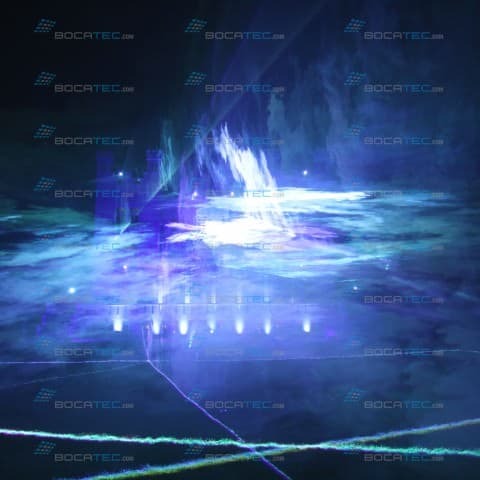 Bocatec also programmed a laser projection of the Mercedes logo, which shined uniquely beautiful like this. 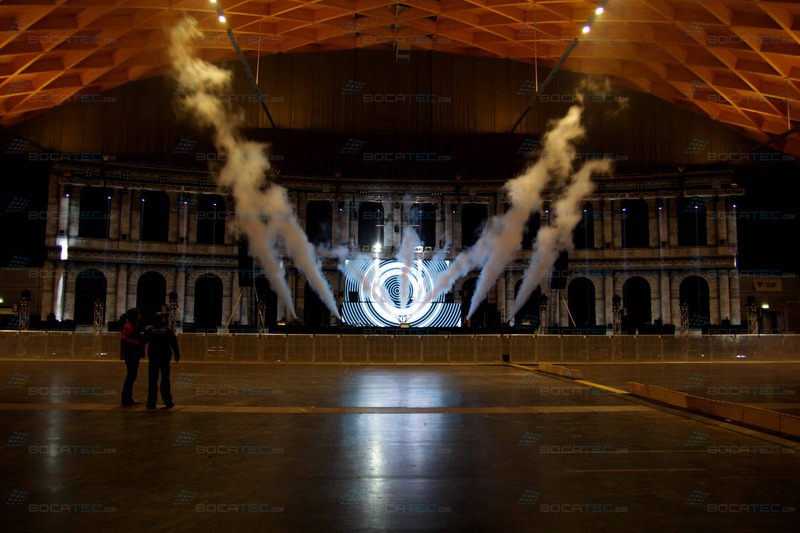 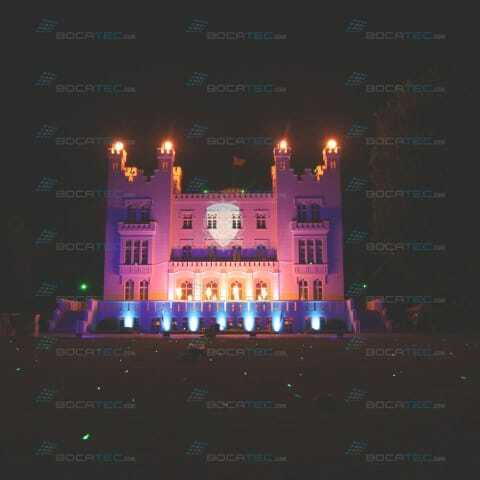 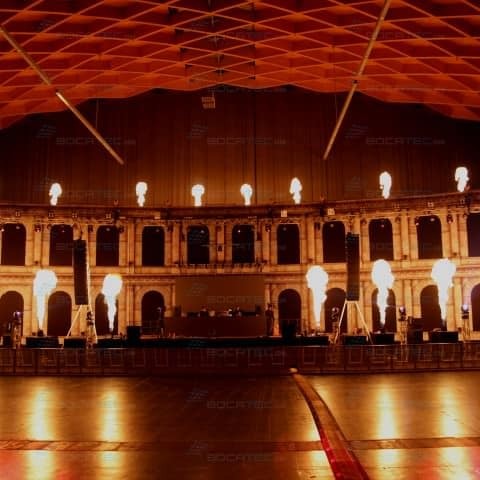 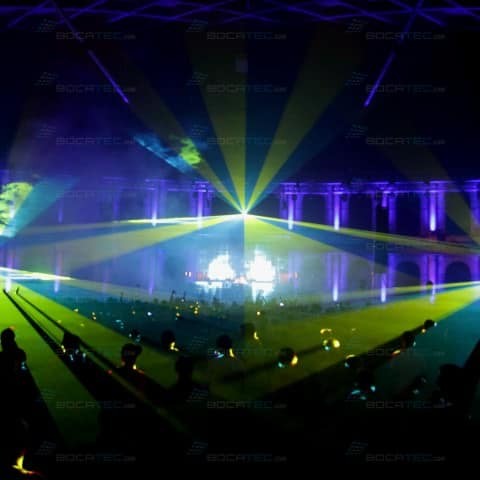 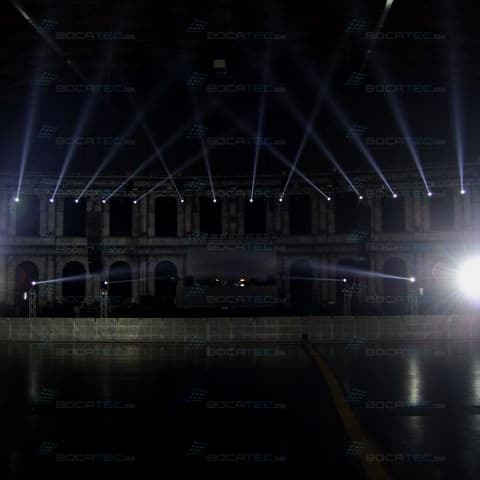 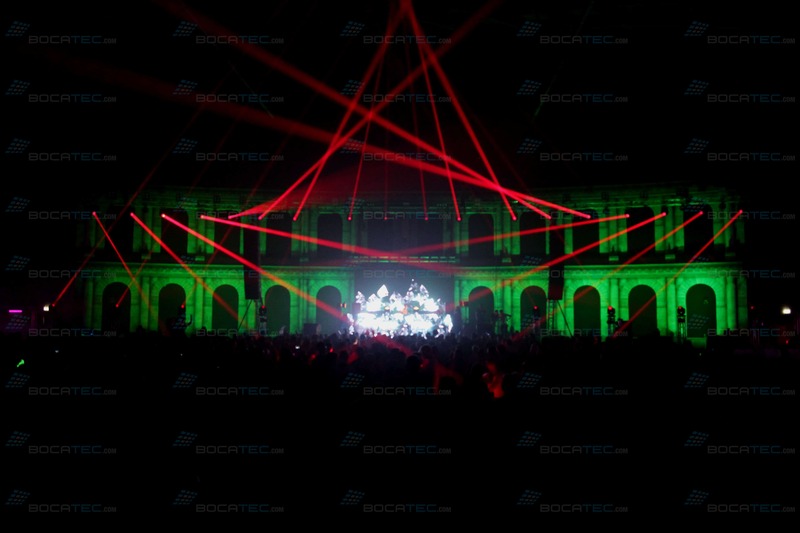 The team of Bocatec installed 5 high-power laser projectors and 6 GX-2-Flamer for the fire effects of the mega company event. 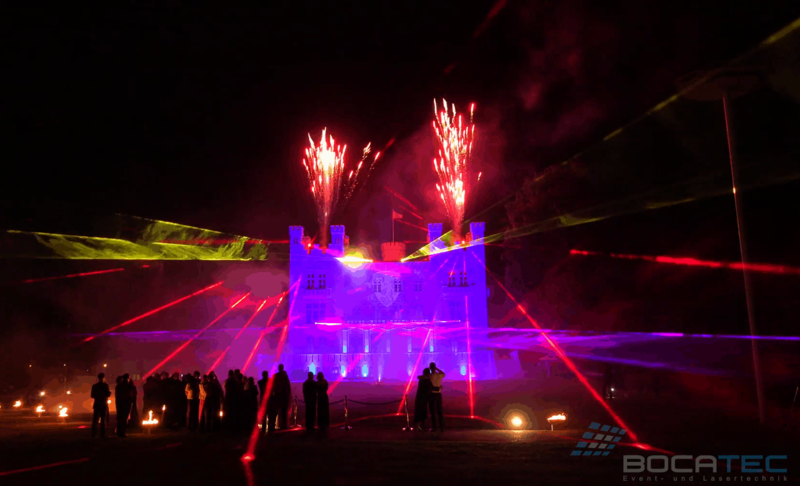 A Piko 14 laser enabled the sharp logo laser projection. 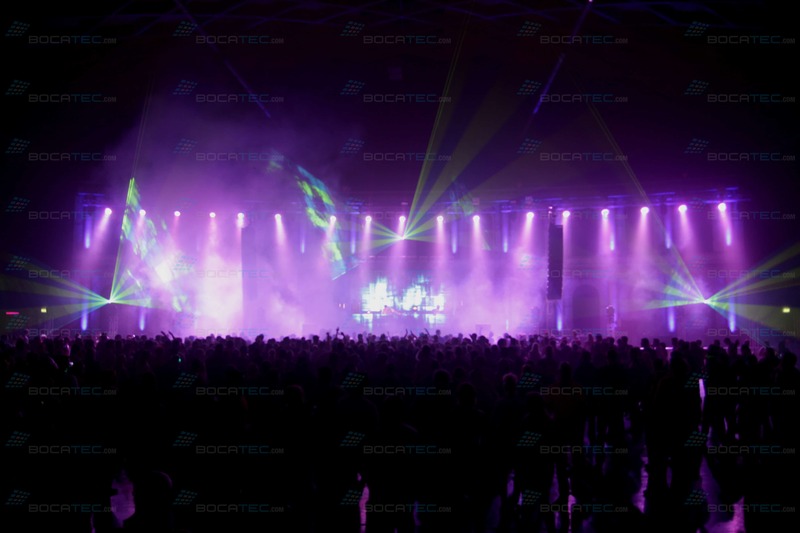 A top-class event, suiting a future-oriented enterprise! 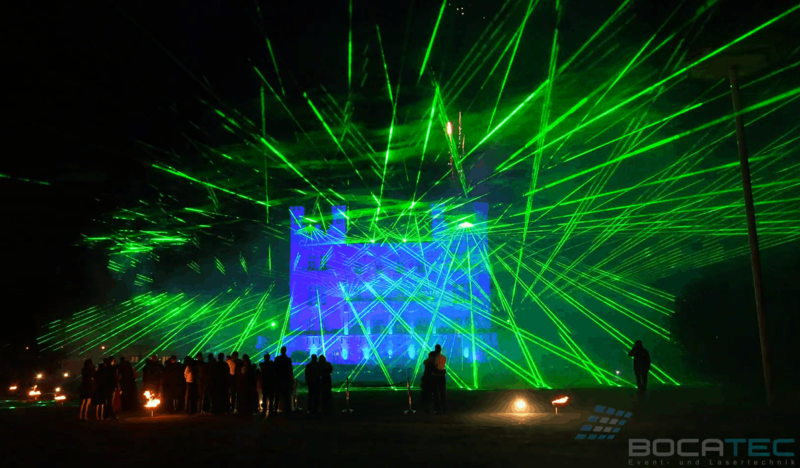 The 17th of October 2015 the HanseMesse in Rostock trembled for the first time at the Electric Sea Dance Festival. 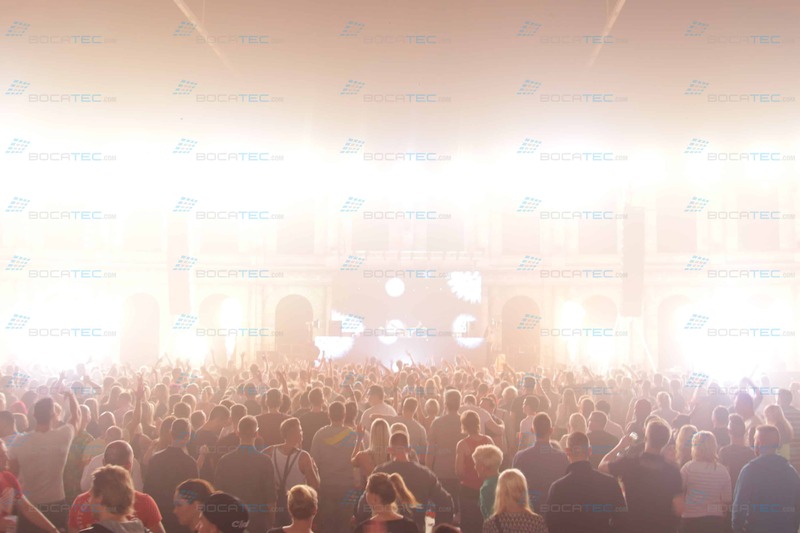 The smaller brother of the big Airbeat-One Festival attracted thousands of party people to come to the biggest hall in Mecklenburg-West Pomerania. 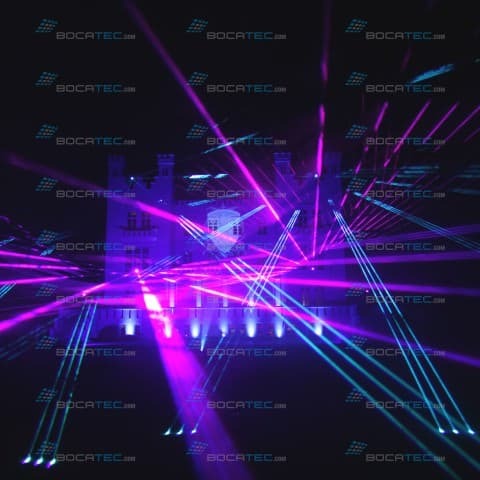 Together with Music Eggert, GoPlus1 and the light operator Sebastian Heise, Bocatec could set off a lot of fire, pyrotechnics, CO2, confetti and laser to make the crowd uproar. 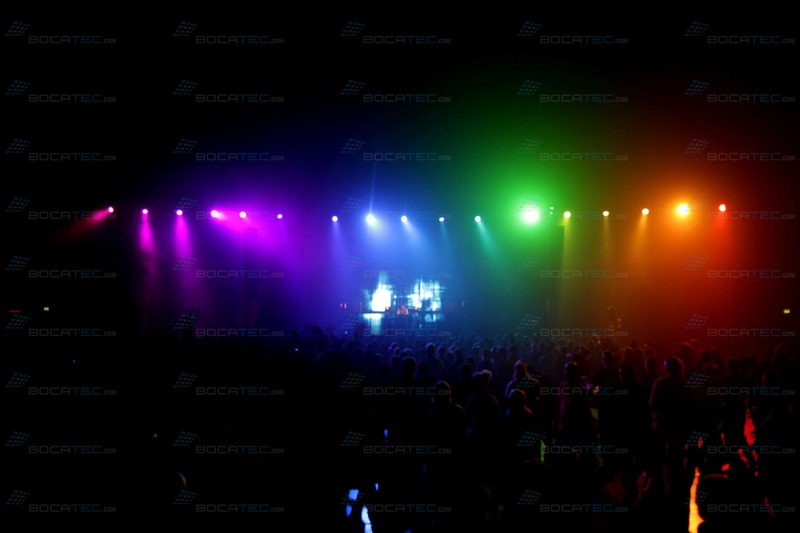 The decision between the three dance floors wasn’t easy for the dance-crazy people. 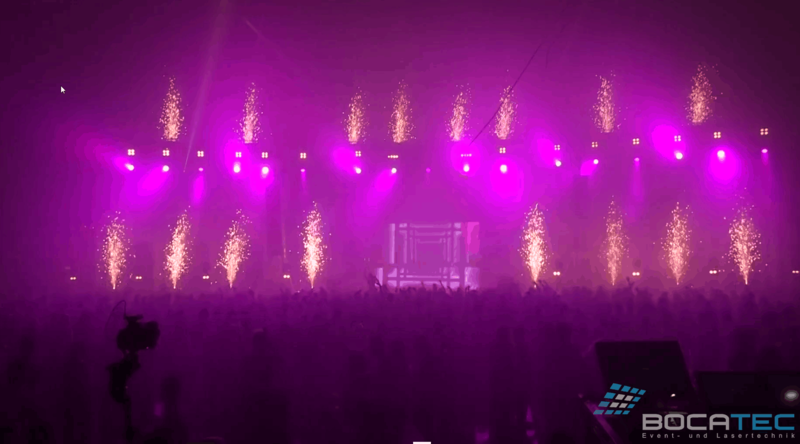 A total of twenty acts appeared on stage and on the turntables and revived the passed Airbeat-One summer. 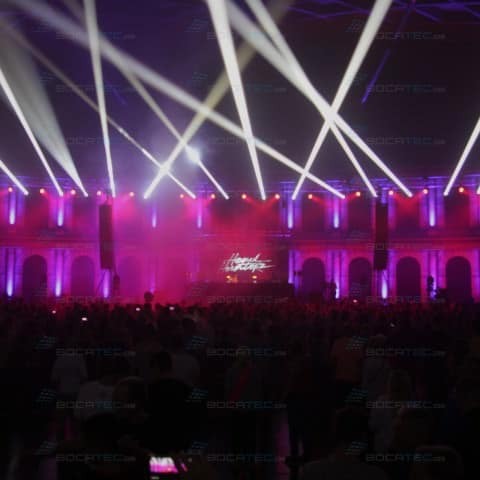 As headliners the megastar DJs “Fedde Le Grand” and “Moguai”were in the lineup. 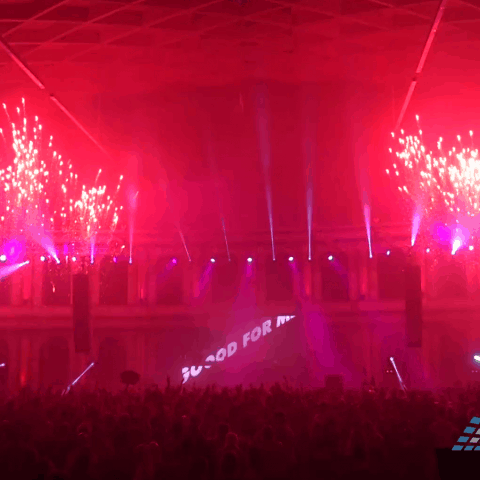 Another main act – “Headhunterz” made the crowd freak out. 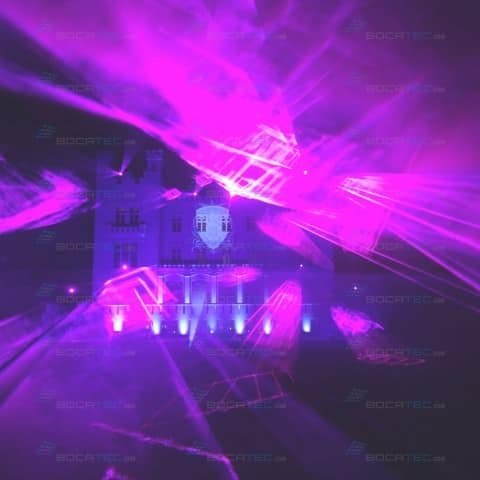 But what would the party be without the suiting light effects and a great surrounding show? 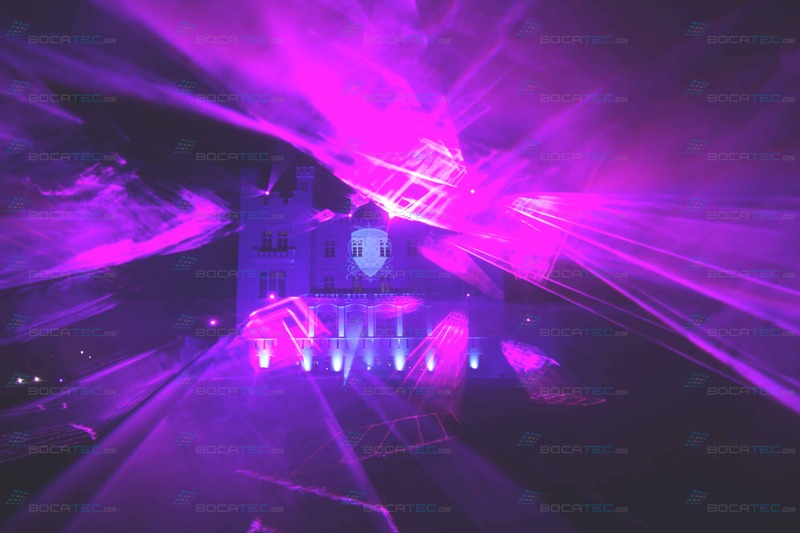 Only the visual effects send the revelers to a higher party dimension. 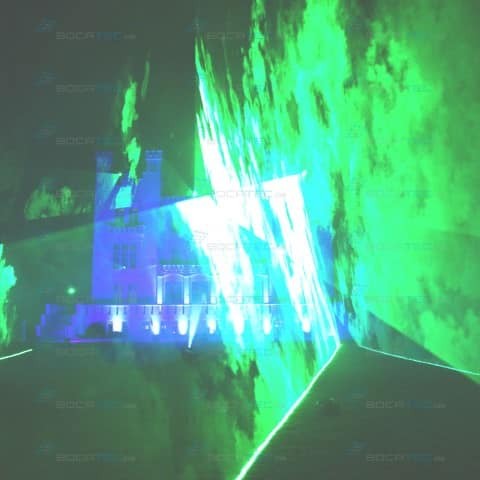 Bocatec and other experts on site cared for this. 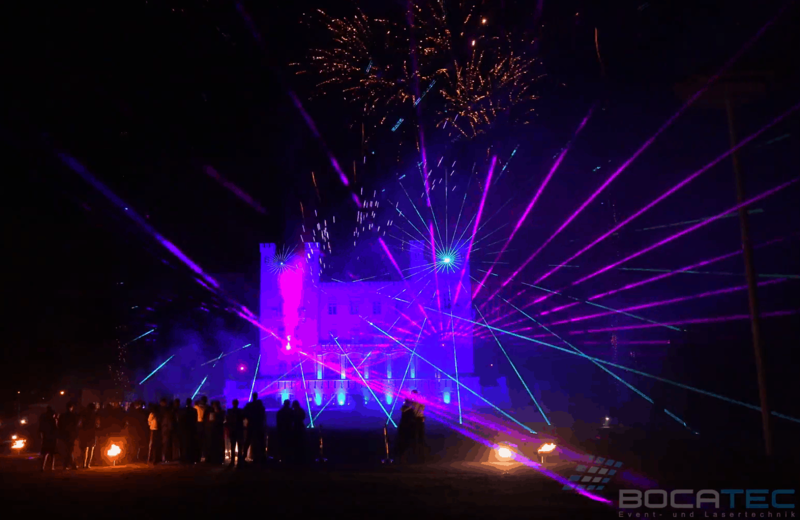 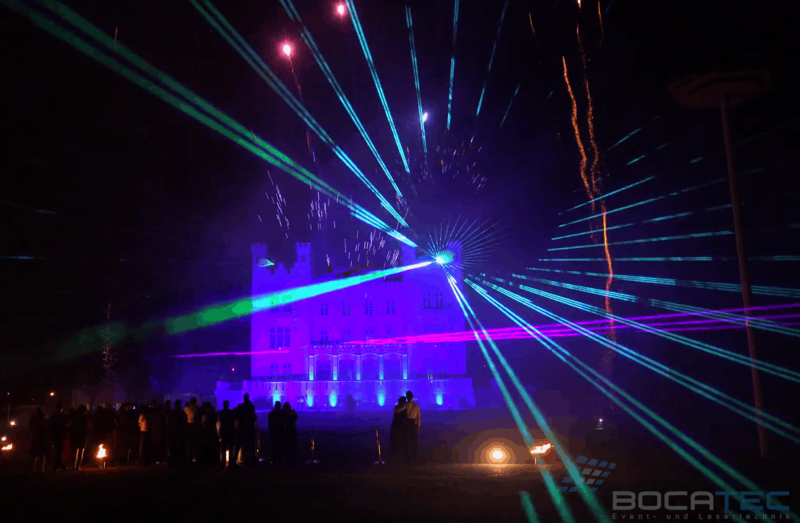 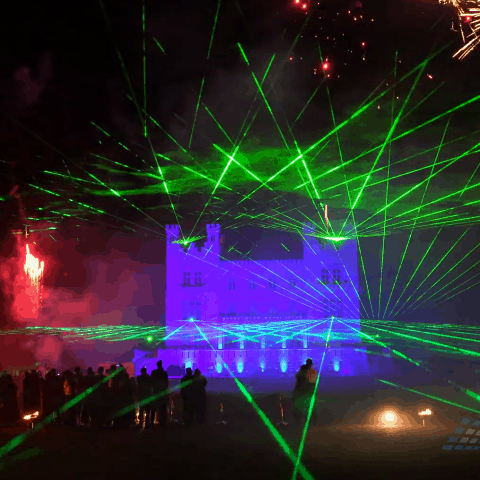 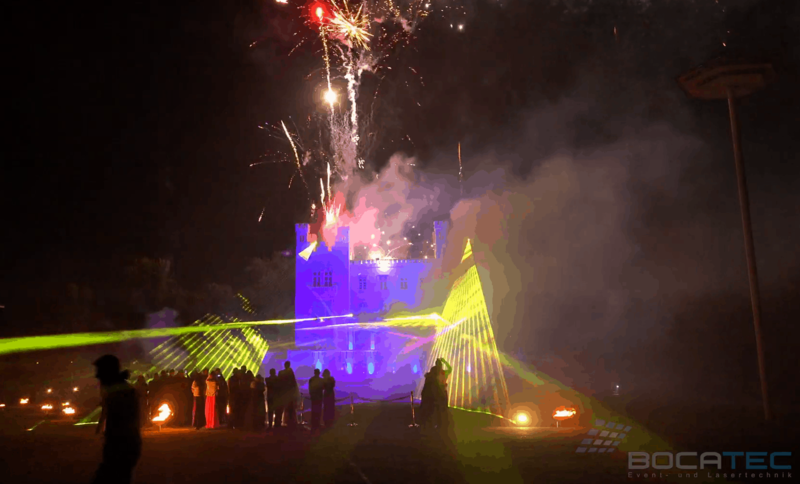 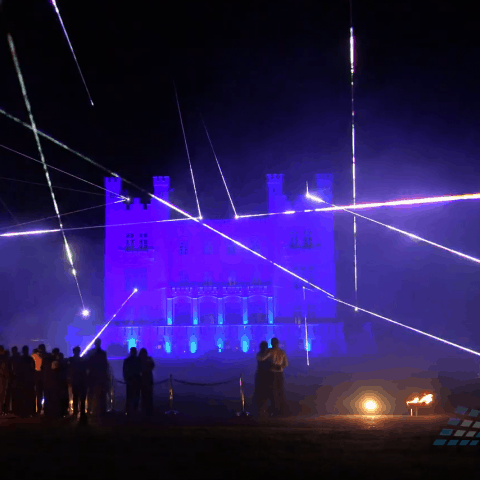 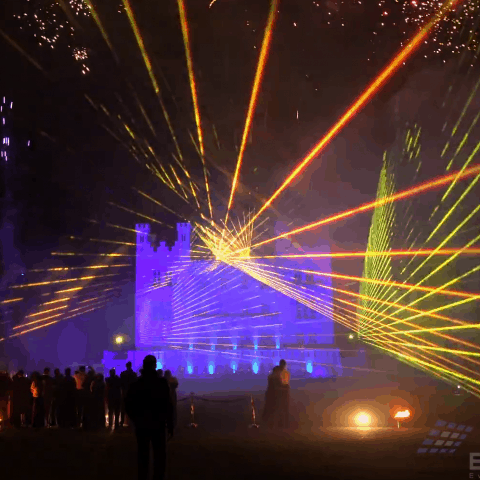 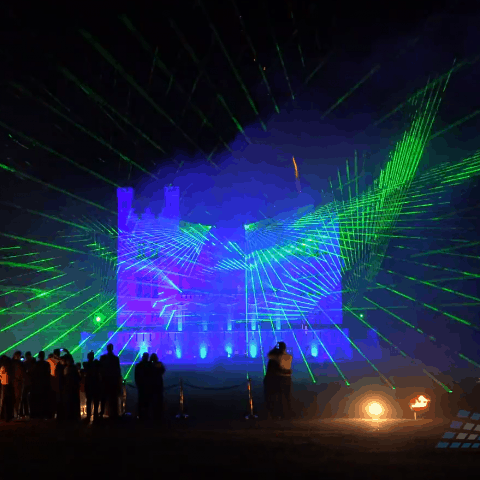 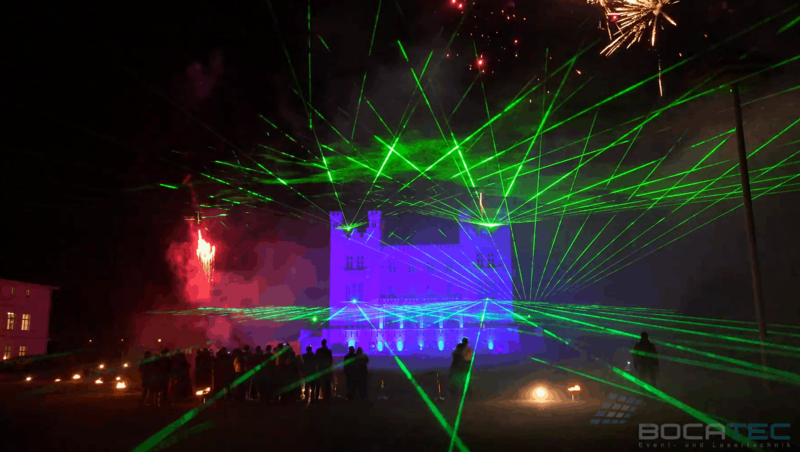 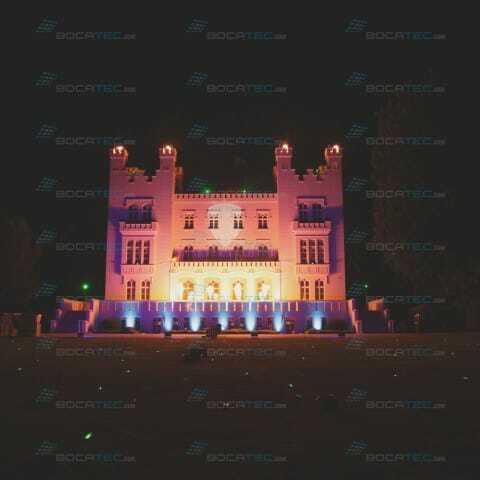 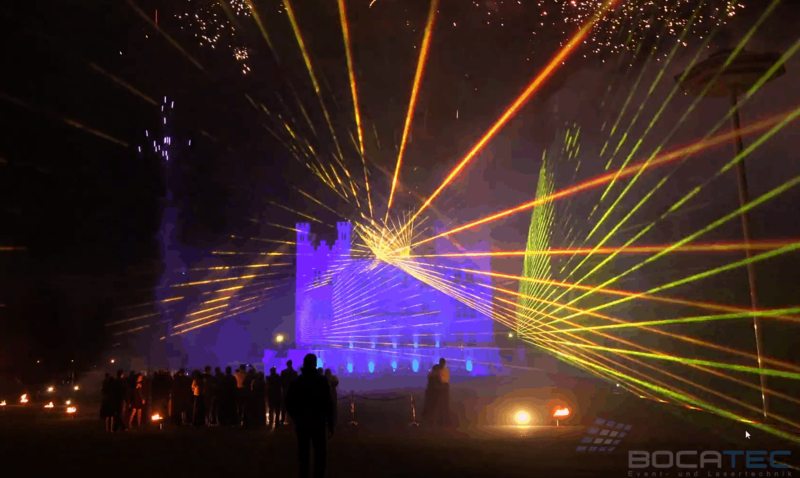 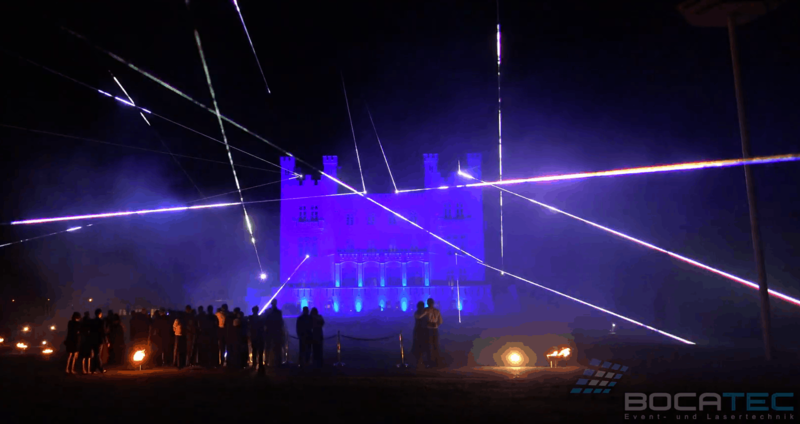 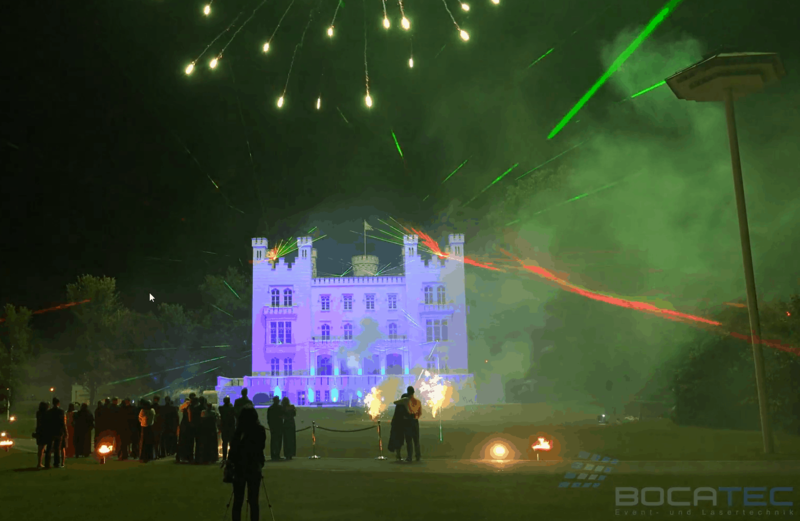 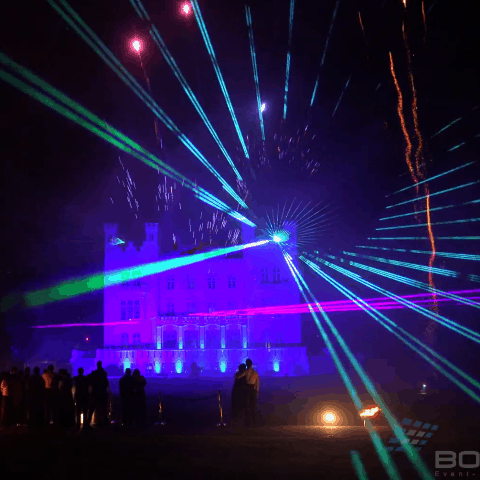 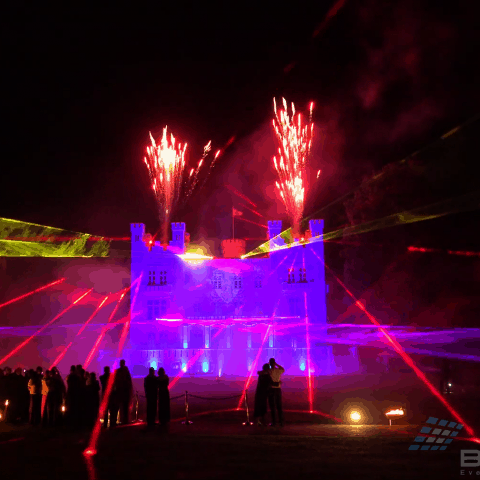 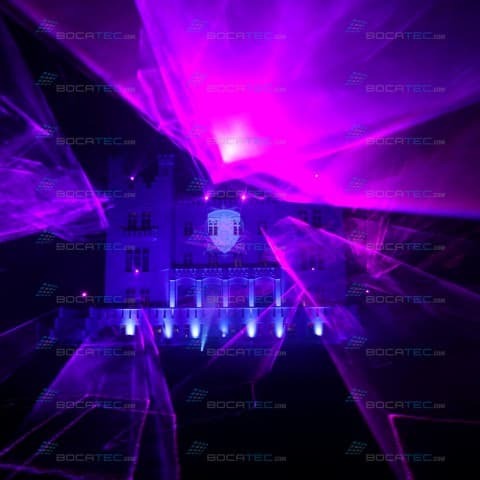 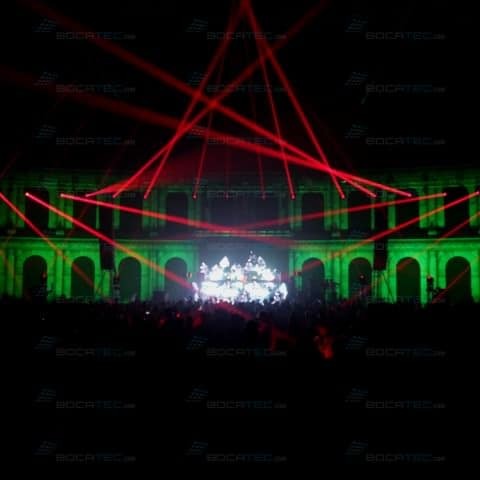 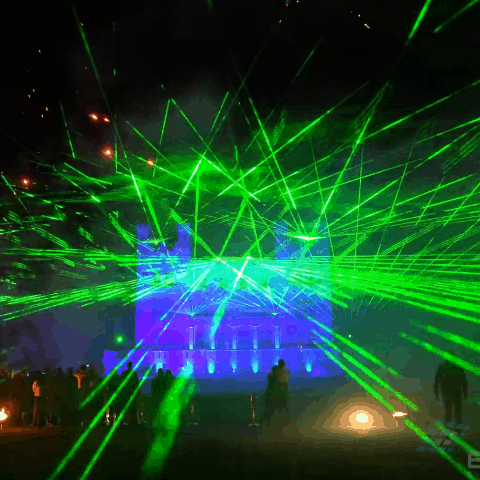 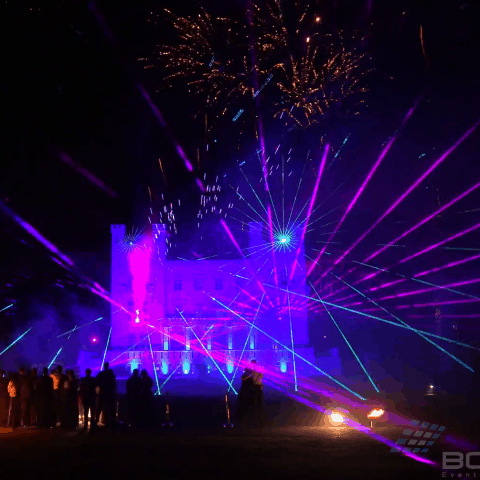 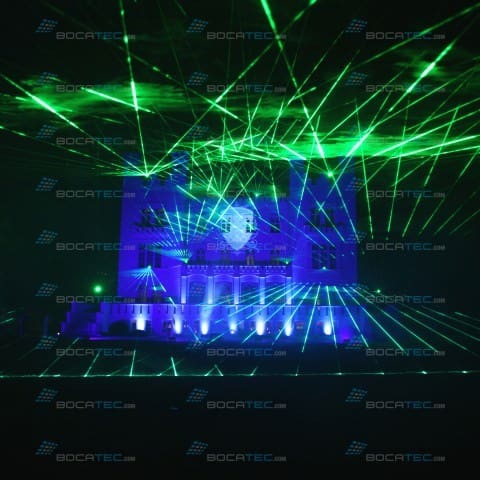 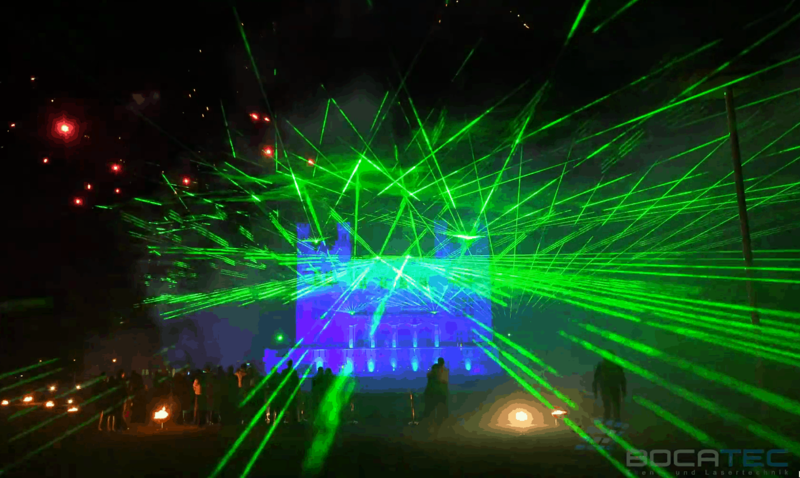 Bocatec brought up the big guns with 40 watt laser equipment for a giant laser show. 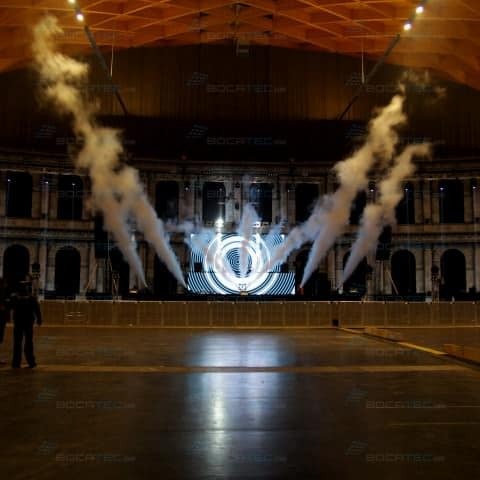 Pyrotechnics of course was also ready, over 150 pyro effects were shoot by Bocatecin the form of jets, comets and fountains. 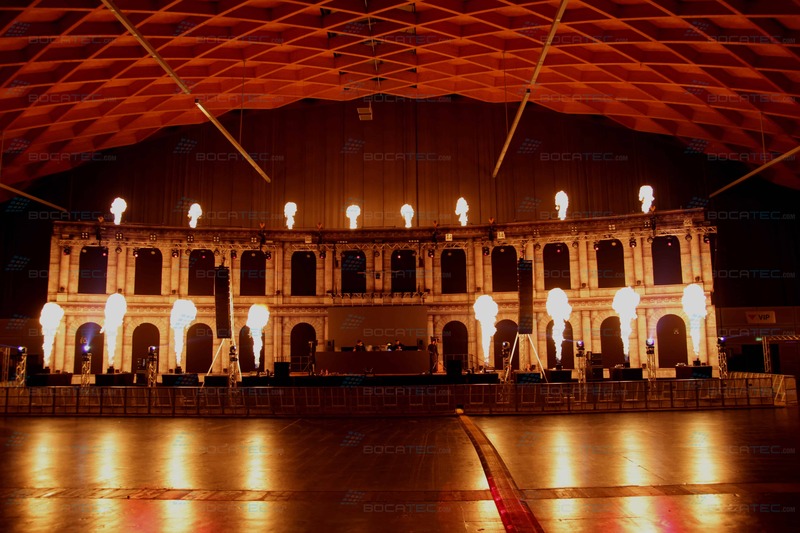 For fiery sixteen gas projectors produced shiny flame balls and hot flame columns . 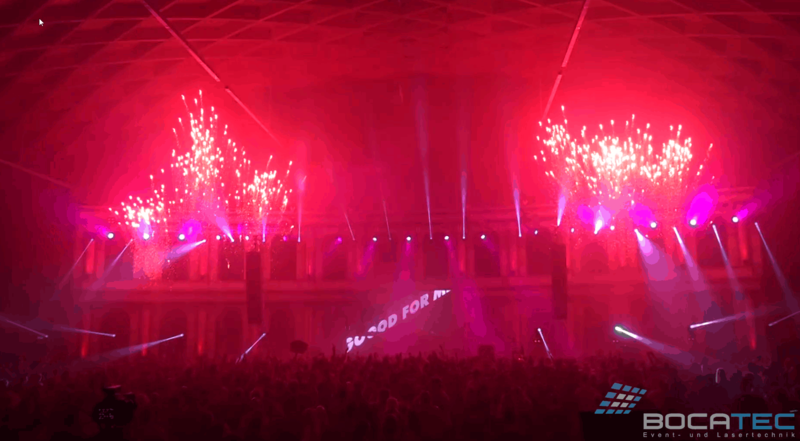 Fizzy CO2 Power Shots by Magic FX took the cake. 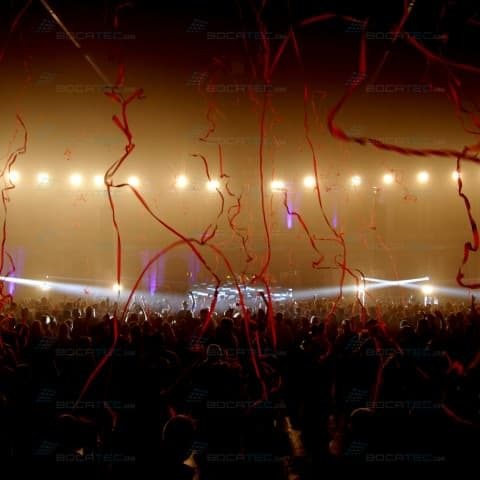 For the real festival feeling Bocatec fired masses of confetti and streamer all over the place into the cheering party crown. 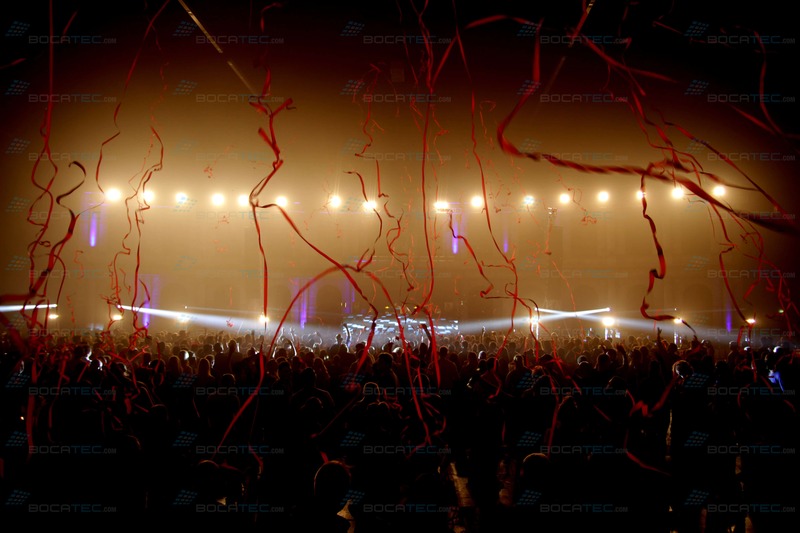 The confetti stadium shots were fully demanded. 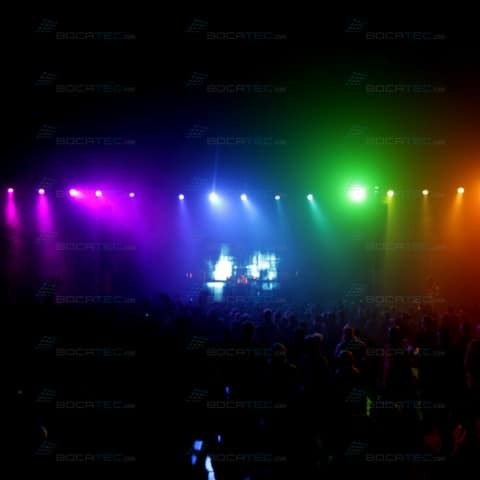 Music Eggert cared for the other light effects. 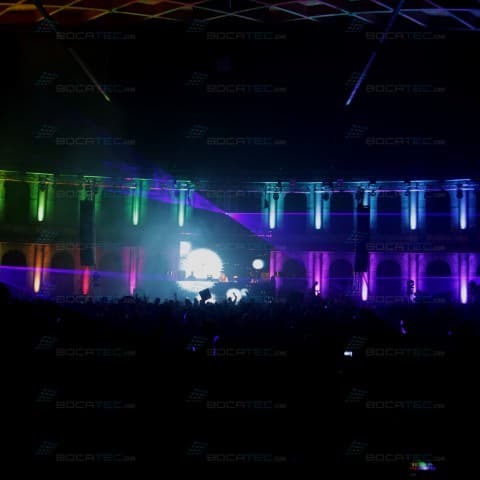 Furthermore there was a huge LED screen. 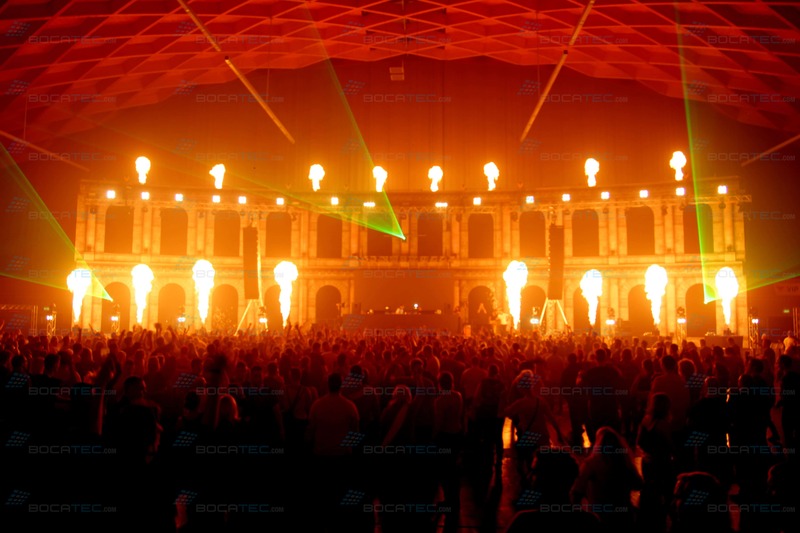 That is how event technics rocks: fire up a lot of special effects and celebrate a great show together with the worlds famous DJs.